Save big on an inexpensive alternative to AirPods. In today’s edition of Deals & Steals, we’ve got a great deal on a pair of Beats wireless earphones. On top of that, you can save big on Stanley thermoses, a pair of Audio-Technica headphones and super-cool DJI goggles! Note: On some of these deals, Cult of Mac might earn a small commission through an affiliate link. However, we pick our daily Deals & Steals strictly on their potential value to our readers. Most of these deals are good for a limited time only, so act fast before the prices change! Steelseries is a household name for gaming products and you can get one of their finest headsets for an unreal discount. They are lightweight and comfortable for optimal performance. The microphone offers crystal-clear quality and is flexible so it can be hidden away in the ear cup. The reviews are slim but they are mostly positive. It lists for $100, get it now for only $27.95. Fly like Sully in the comfort of your couch and underwear. These goggles receive the video downlink from the wireless transmitter on DJI drones, facilitating a truly immersive flying experience. The Goggles feature dual 5-inch screens, each with 1080p resolution and an 85-degree field of view. Both 720p60 and 1080p30 video viewing are available, depending on transmission distance, with little latency. Normally $449, B&H is selling the DJI Goggles for $349. For any ultras out there unwilling to settle on anything other than Apple, you can still save big on these Beats wireless earphones. The Powerbeats3 are great for working out, so you can start on your summer bod. And they get 12 hours of playback time with a single charge, so you can use them for multiple workout sessions. In addition, five minutes of Fast Fuel charge gives you an extra hour of juice. Over 12,000 Best Buy shoppers gave Powerbeats3 4.5/5 stars. The list price is $190, but you can grab a pair now for $109.99. 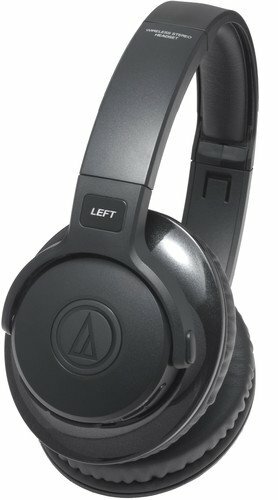 Jam out to your favorite tunes with these Audio-Technica headphones for almost a quarter off the list price. Audio-Technica is a household name known for amazing quality and affordability. The housing contains an acoustic chamber that’s separate from the electronics and helps to maximize driver performance. You can also connect these wireless headphones to up to eight devices via Bluetooth. The SonicFuel sports a frequency response range of 20 to 24,000 Hz. It lists for $129, but is currently being sold for just $99. Keep your coffee warm with a boiling hot deal on Stanley products. Insulation in Stanley thermoses keeps drinks hot for 24 hours or cold for 120. They are made of stainless steel that won’t rust and they are BPA-free. They are also leakproof and come with a lifetime warranty for peace of mind. The deals range from 27 percent off to 63 percent off. Act quick because the deal expires at the end of the day. Get a pair of snazzy headphones for 35 percent off. 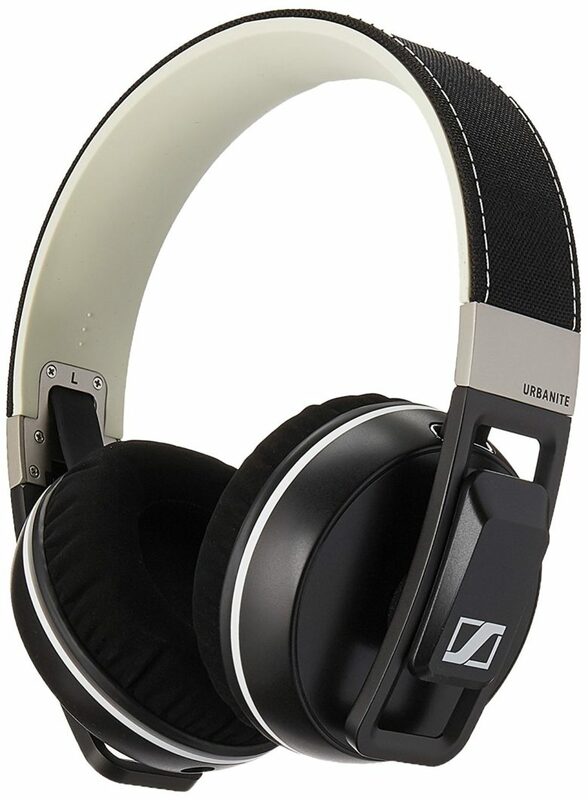 Sennheiser is known for making quality products. The Urbanite XL Galaxy is built using premium, extra-rugged parts like stainless steel hinges and aluminum sliders for reliability and durability. The headphones’ foldable design makes them easy to carry around when you are traveling. 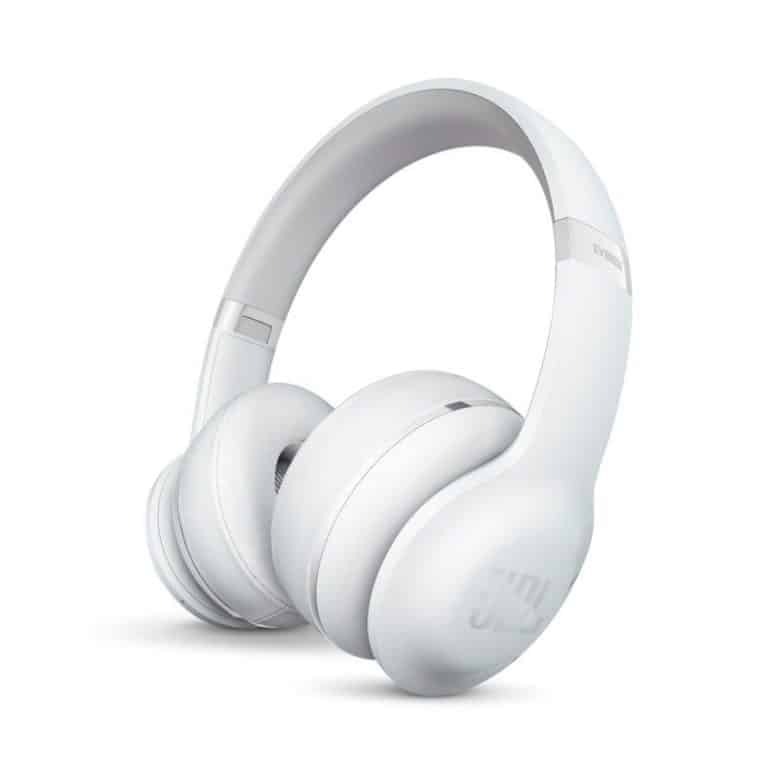 Over 200 Amazon customers gave the Urbanite headphones 3.8/5 stars. They list for $107, but you can buy a pair now for just $69.95. As part of Amazon’s Gold Box Deals of the Day, you can get your hands on a 4K monitor for almost 20 percent off. The Samsung UE510 sports AMD FreeSync, which dynamically syncs the screen refresh rate with the frame rate of your content to minimize input latency and dramatically reduce image tearing and stutter during gaming. It can also display an incredible 1 billion colors, giving movies and shows a more vivid and lively feel. 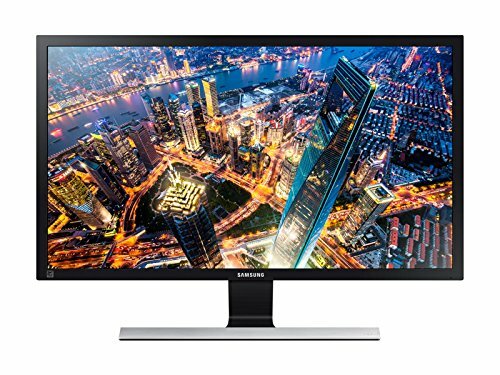 Over 50 Amazon customers gave the monitor 3.9/5 stars. Normally $280, today it’s going for just $229.99. It is universally accepted that AirPods are awesome. Now you can join in on the hype and get a free $50 prepaid Visa gift card. With Apple’s wireless earbuds, Bluetooth connection has never been easier. Your iPhone will recognize when the AirPods case is open, and you can sync them with the click of a button. The AirPods also sport the groundbreaking Apple W1 chip. The earphones offer five hours of playback time on a single charge, and the case gives it an additional 24 hours of juice. 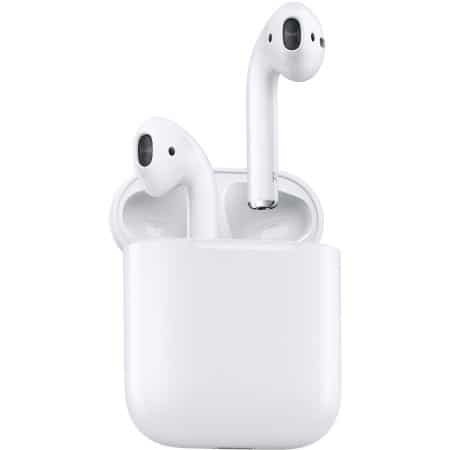 Verizon is selling the AirPods right now for $159.97. 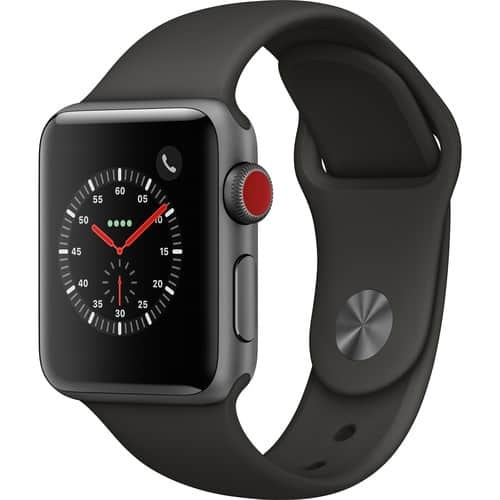 Note: You must buy at least $200 worth of accessories from Verizon to qualify for the gift card, so you’ll need to add something else to your cart as well. 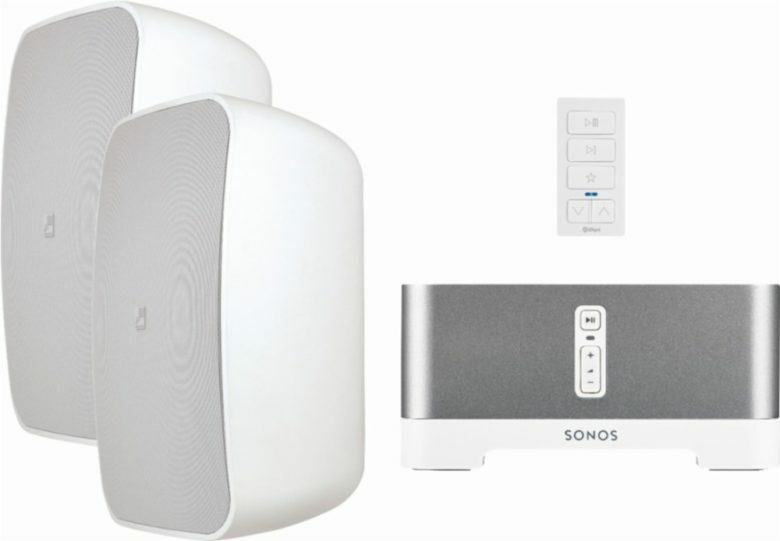 In case you missed last week’s deal on the Sonos speaker system, you can now get a refurbished Play:3 for a nice discount. The Play:3 is Sonos’ premiere midsize speaker. It is a great addition for anyone looking to build their own in-home theater system. It can play vertically or horizontally, so you can stash it virtually anywhere. It normally goes for $250, but the Sonos site is offering refurbs for just $199. 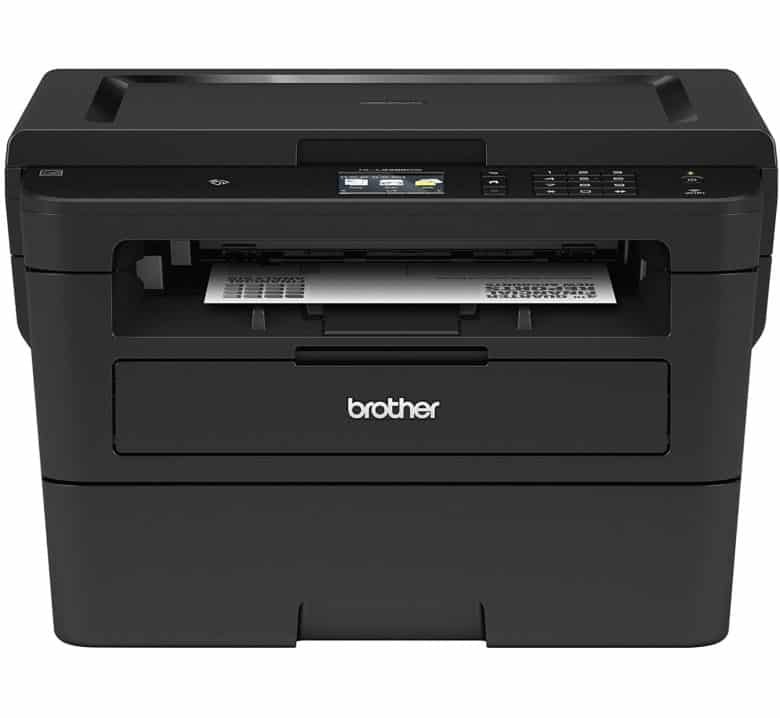 This deal will make you say, “Oh brother!” This Brother laser printer spits out 36 pages per minute for fast and easy print jobs. You can scan to and print from Google Drive, Dropbox and other cloud services directly from the printer’s touchscreen. Over 1,700 Amazon customers gave this monochrome laser printer 4.3/5 stars. Normally $170, you can buy it today for just $99.99. 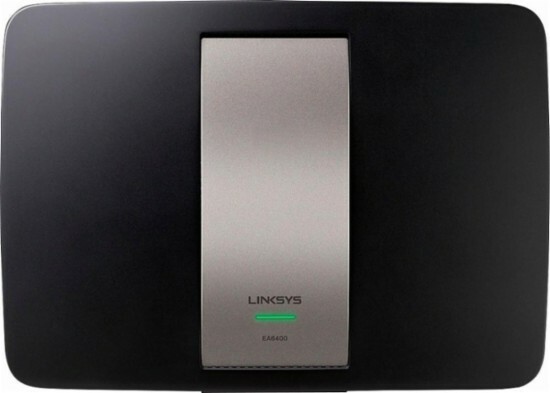 Get blazing-fast connectivity with this high-quality router. It sports 2.4GHz and 5.0GHz wireless frequencies for smooth streaming. It enables you to restrict access to certain websites, so you can limit the amount of time your kids spend on gaming consoles and tablets. Over 450 Best Buy customers gave it 4.2/5 stars. It lists for $100, buy right now it’s just $49.99. Are you tired of your home always looking like a pig sty? 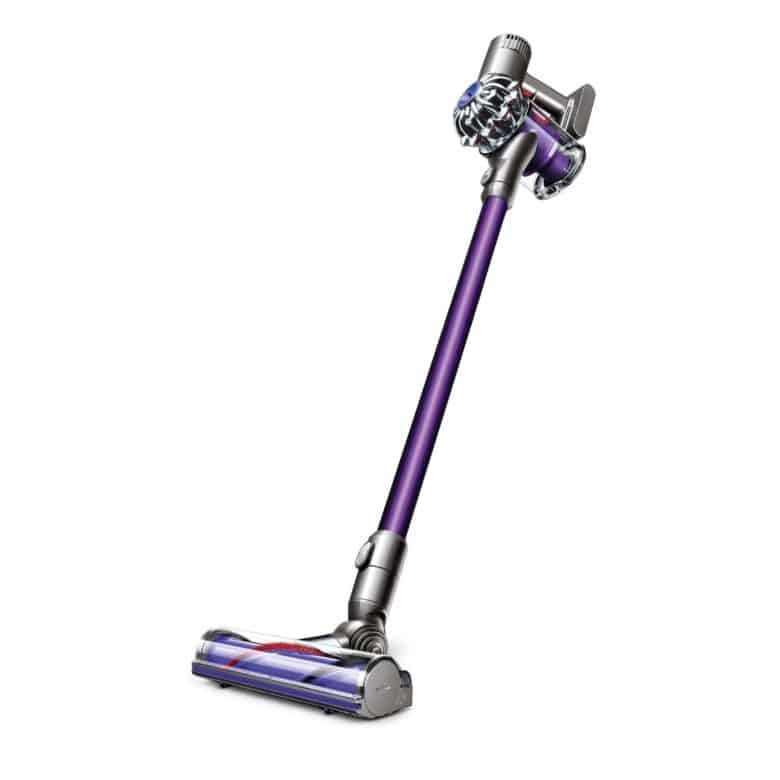 Clean in style with an outlandish discount on a Dyson V6 vacuum. It sports nylon bristles that get ground-in dirt out of carpets while the carbon fiber filaments remove fine dust from hard floors. Cyclonic technology separates dirt from the air, preventing it from clogging filters. Over 950 Best Buy customers gave the V6 4.6/5 stars. The list price is $600, but it’s dirt-cheap today at only $279.99. They’re no HomePod, but these Logitech speakers cost a fraction of the price. Easy-Switch technology lets you seamlessly hop between audio sources — just pause the audio on one and press play on the other. 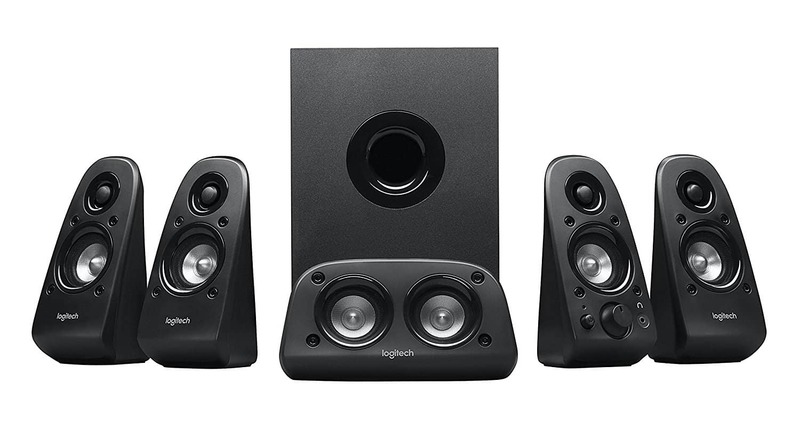 The Logitech MX Sound 2.0 systems sports 24-watt peak/12-watt RMS power so you can really freaking jam out. There are not many reviews but they are generally positive. 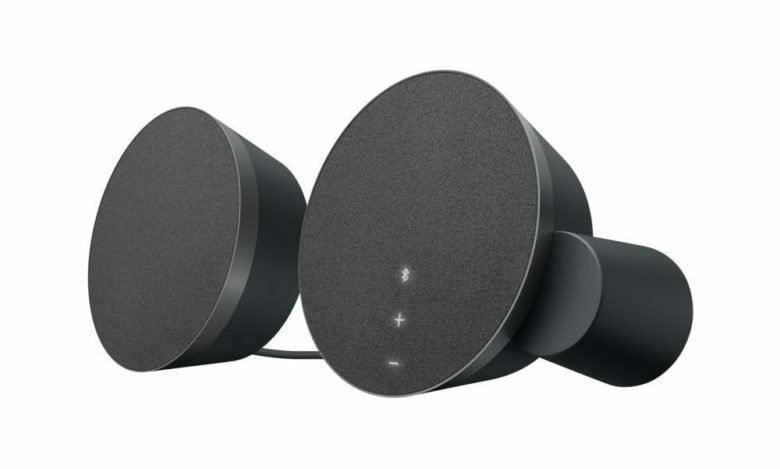 Ordinarily $100, Amazon’s offering the speaker today for $69.99. 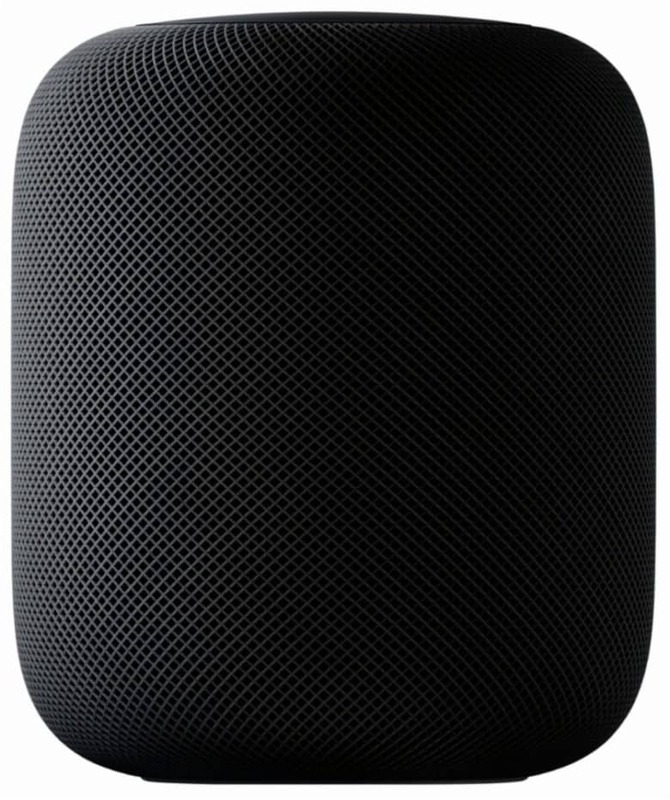 Save $35 on a refurbished HomePod! Get a nice discount on the best smart speaker in the solar system. HomePod senses its location in your room and tunes itself accordingly to deliver an even wash of music. It works great with Apple Music. Plus, Siri will answer questions, spit out directions, and control HomeKit-compatible smart accessories scattered throughout your house. The list price is $350, but you can get it now for $314.99. The deal also applies to the white model. Here at Cult of Mac, we are big fans of everything that Ultimate Ears makes, and the Roll 2 is no exception. The compact size belies its power, with a 2-inch driver that kicks out 85dBA. 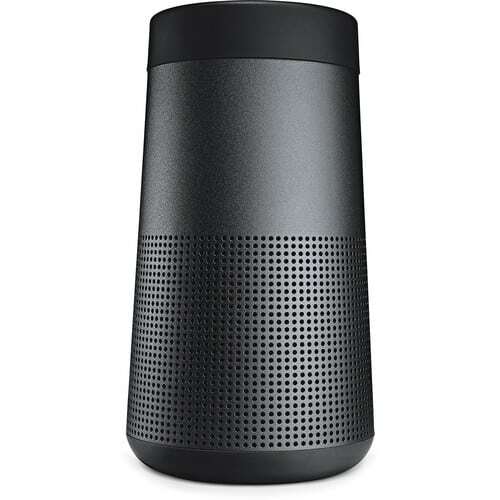 It uses Bluetooth to connect with up to eight devices, letting you share playlists at your next party. The battery lasts up to nine hours so you can listen all day. Over 700 Best Buy customers gave it 4.7/5 stars. It lists for $100, but it’s on sale now for just $45.99. Get this iPad competitor for a whopping discount. The Galaxy Tab S3 features High Dynamic Range on a Super AMOLED display, delivering detail and deep contrast and cinematic vividness. It sports powerful quad speakers, tuned by AKG, that are calibrated with your movements as you rotate the tablet to intuitively reflect what’s playing on-screen. 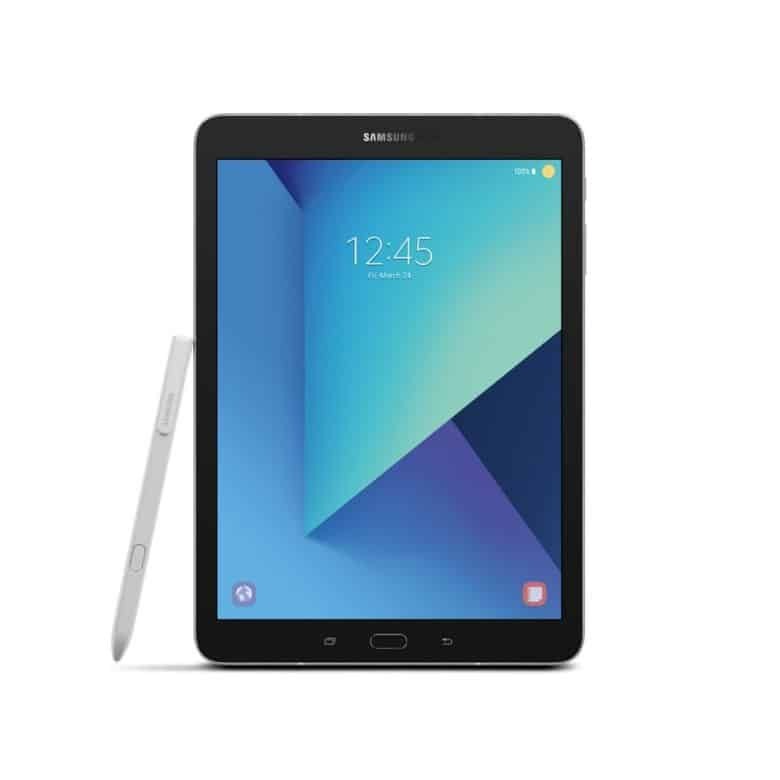 The Galaxy Tab S3 also come with an Apple Pencil look-a-like: the Samsung S Pen Stylus. Over 550 Amazon customers gave it 4.4/5 stars. The list price is $550, but you can get it now for $449.99. 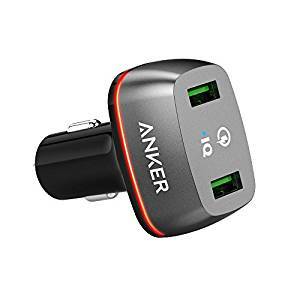 It may not be the sexiest deal in the world but you can still save some big bucks on these Anker car chargers. The best deal is on the Anker Quick Charge 2.0 36W Dual USB Car Charger for $48 off (80 percent). Almost 1,500 Amazon customers gave it 4.7/5 stars. It lists for $60, but you can grab one today for just $11.99. Audiophiles rejoice! You can save hundreds on a Sonos system. 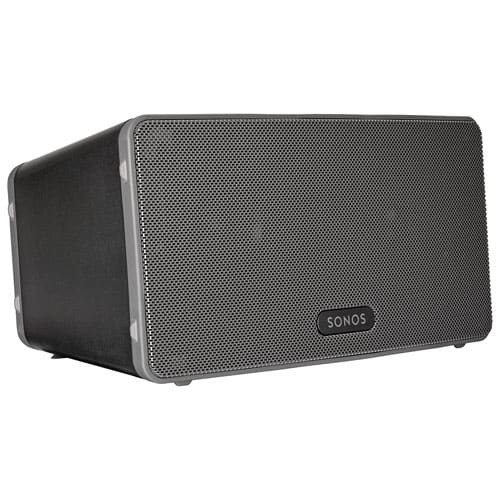 Sonos is known for its quality speakers and their ease of use. A magnetically mountable keypad gives you central control over your system, letting you stream songs, sort your queue, adjust the volume, and choose where you want your music. Normally $1,200, Best Buy is offering it for just $799.98. Never settle for swill coffee again. 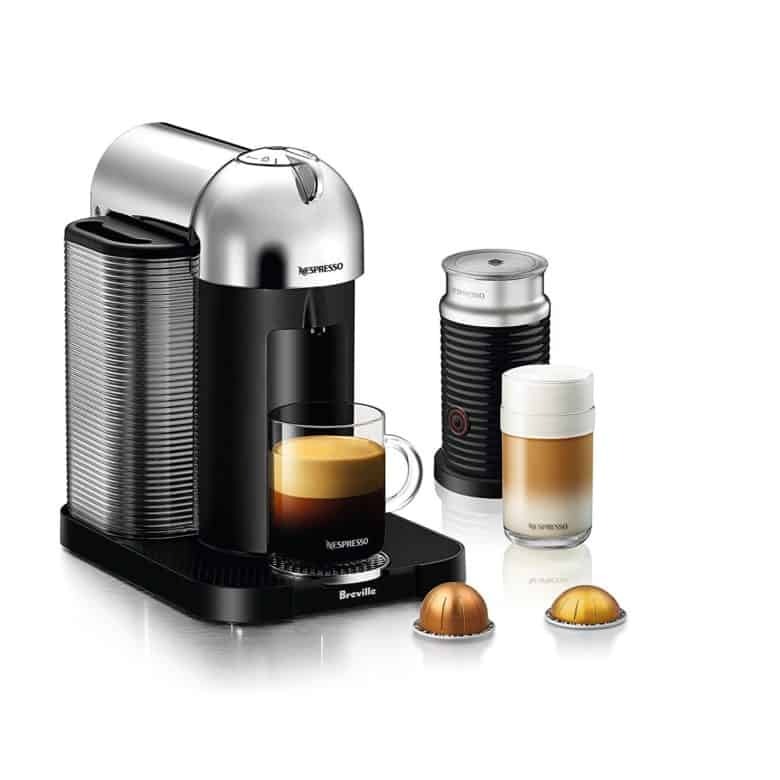 As part of its Gold Box Deals of the Day, Amazon is offering this refurbished Nespresso machine for an enticing deal. Create exceptional, barista-grade coffee or espresso cups at the touch of a button. Note: It is designed to be used with Nespresso Vertuo capsules only. Normally $200, you can get it now for just $119.99. The new Apple TV automatically upgrades the picture quality of your content. You can stream TV shows and movies from providers like iTunes, Netflix, Hulu, and more, but you can also play games. Pair it with a Nimbus gaming controller from SteelSeries, one of the finest names in gaming accessories. Almost 600 Best Buy customers gave it 4.8/5 stars. Ordinarily $250, you can grab this bundle today for just $199.98. 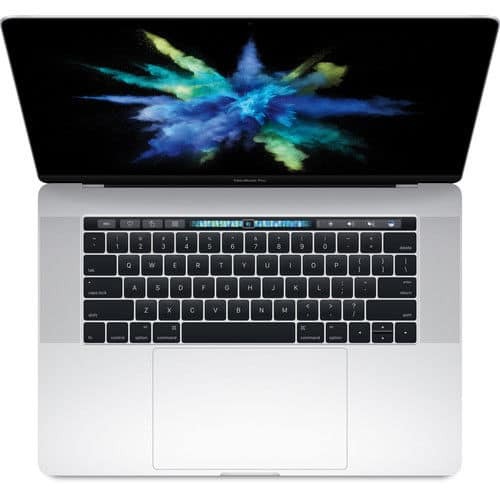 232tech via eBay is offering the new MacBook Pro for a fantastic discount. This machine features the revolutionary Touch Bar, which replaces the function keys and adapts instantly to best suit your needs. It also sports a 2.8GHz quad-core Intel Core i7 processor that can handle the most intensive jobs. The MacBook Pro lists for $2,400, but you can get it now for $1,949.99. The Belkin Boost Up wireless charger juices up late-model iPhones at maximum speed. 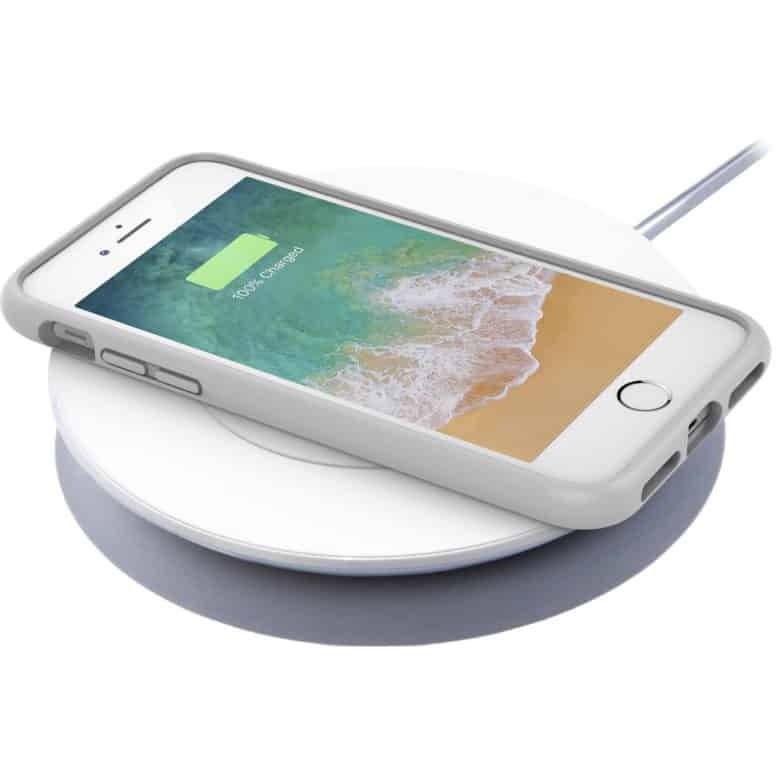 Belkin worked with Apple to fine-tune the wireless charging mat to optimize it for the iPhone 8, iPhone 8 Plus and iPhone X. The Boost Up lists for $59.99, but today it’s going for just $38.99. 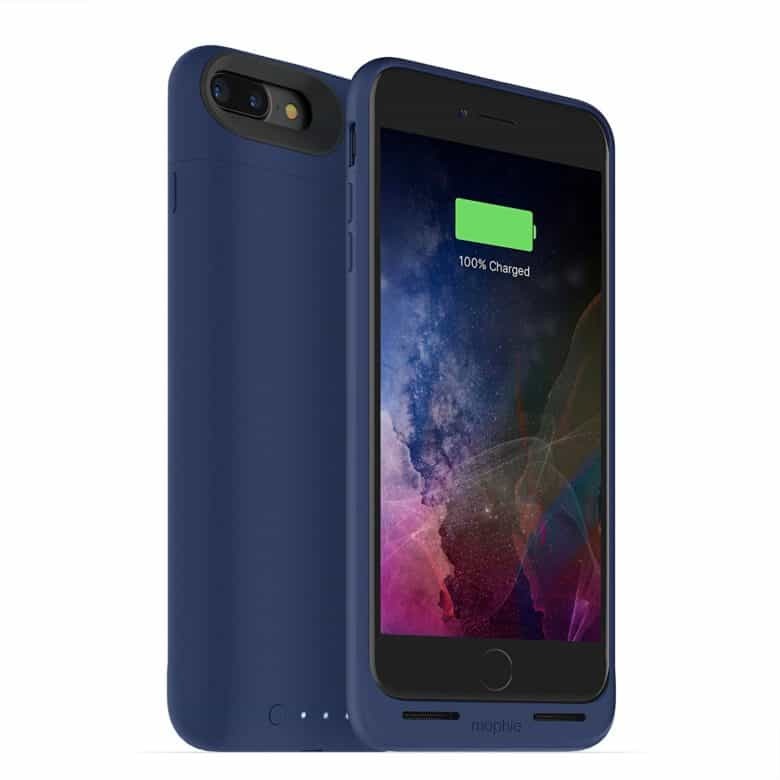 Get a boost of juice for your iPhone with a sweet deal on this charging case. The lightweight case features rubberized support pads on the interior in case you drop it, and raised corners for added protection against cracked screens. The 2,420mAh battery case also provides 60 percent more charge to your phone. Over 600 Amazon customers gave it 2.9/5 stars. The list price is $100, but Amazon has it for just $42.94 right now. Get a fat discount on this razor-thin laptop. B&H is having sales galore on Apple products. This MacBook Air weighs a meager 3 pounds and at its bulkiest it measures only 0.68 inches. Despite its size, it sports a screen resolution of 1440×900. Over 50 B&H customers gave it 5/5 stars. The list price is $999, but you can get it right now for $799. 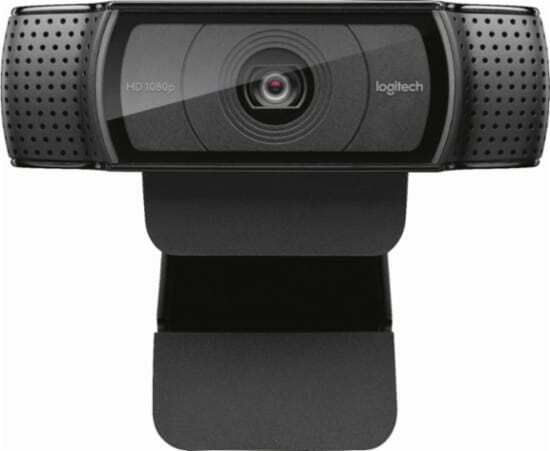 Pimp out your vlog with this Logitech webcam. It sports 1080p resolution when video chatting via Skype and 15.0-megapixel still image capture for crisp visuals. The built-in microphone offer stereo sound, so the person you’re chatting up won’t miss a syllable. Over 2,400 Best Buy customers gave it 4.7/5 stars. It lists for $62, but today it’s a steal at only $24.99. As part of its Gold Box Deals of the Day, Amazon is offering this Klipsch speaker bundle for an absolute bonkers discount. The Klipsch PowerGate sports a 2 x 100 watt class D amplifier, which will drive even the most difficult speaker. 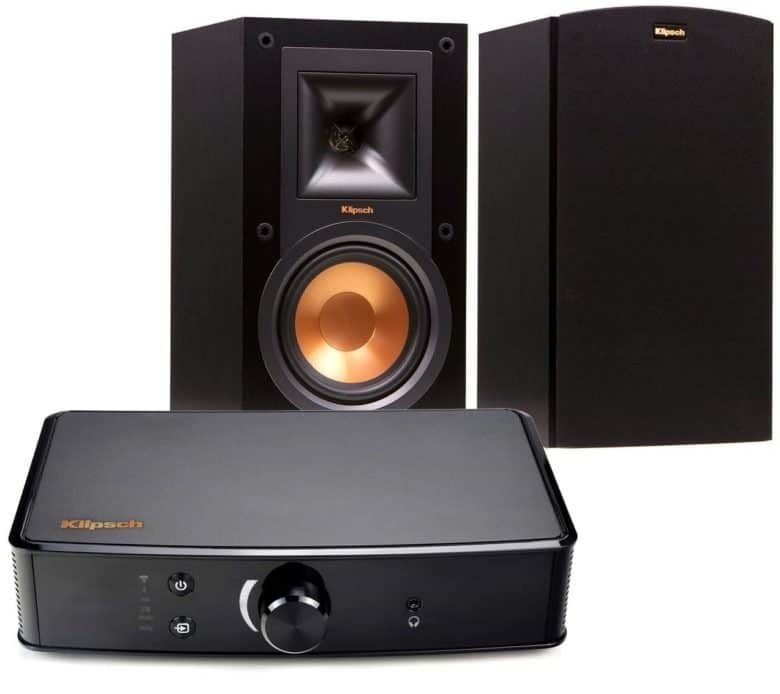 As part of the Klipsch Stream wireless multiroom audio system, anything you plug into the PowerGate will be played in other rooms of your house where Klipsch Stream products are located. Normally $700, it can be yours today for just $320. DNA tests are all the craze these days. Now you can jump in on the hype with this great deal. 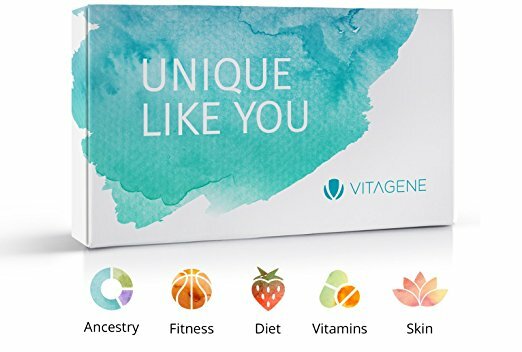 The Vitagene DNA Kit gives you a breakdown of your ancestry and also recommends foods and vitamins you should take to fight off future ailments. All it takes is a simple saliva swab; the results come back in four to six weeks. Almost 300 Amazon customers gave it 3.8/5 stars. Ordinarily $179, get it today only for just $89. It may not be the most eye-popping deal, but you can still save 20 percent on this Fire TV Stick. It has Alexa so you can yell commands at the TV when the remote is not in your vicinity. It also sports a quad processor, 8GB of storage and 1GB of internal memory for optimal performance. The cover adds some color to your living room and makes it easy to spot in case it gets lost. 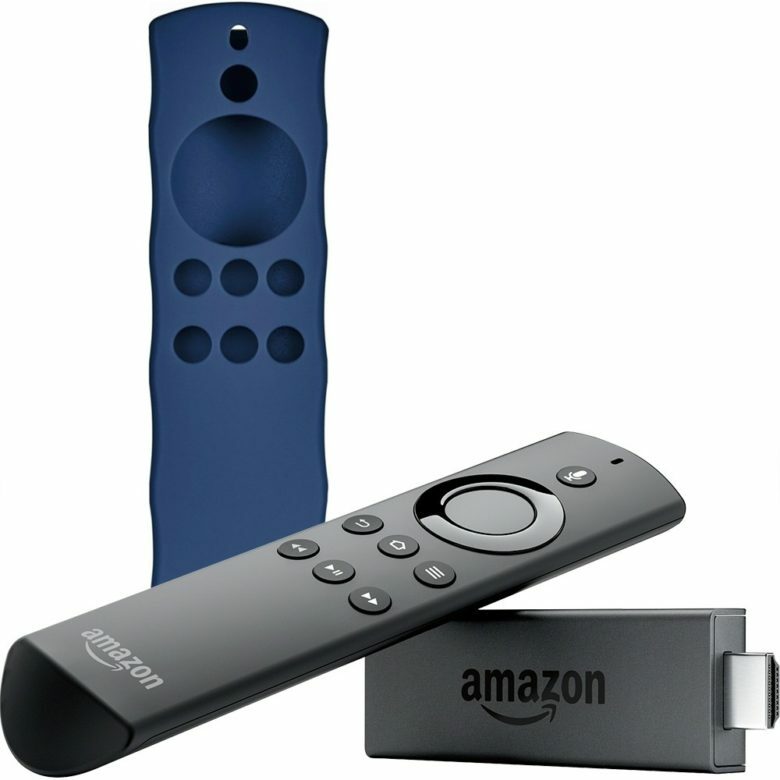 Over 43,000 Best Buy customers gave the Fire TV Stick a whopping 4.7/5 stars. Normally $50, get it now for only $39.99. Never settle again for low-quality content. 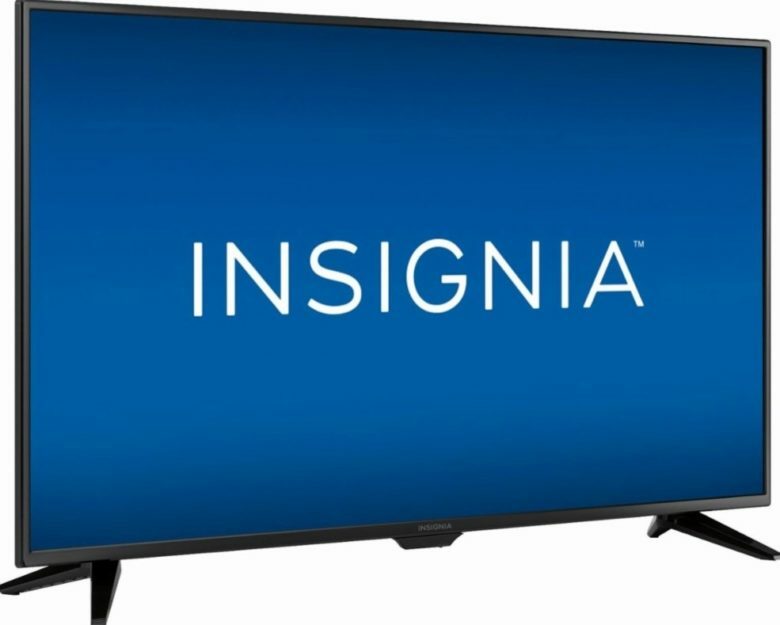 This 43-inch Insignia LED HDTV has a 1080p resolution that delivers true-to-life colors and a sharp picture. It also features two built-in DTS-enhanced speakers for stereo-like theater sound and booming bass. Over 1,000 Best Buy customers gave it 4.6/5 stars. It lists for $280, but today it’s going for just $189.99. If you missed last week’s deal on the Xbox One X, don’t sweat it. The console is on sale again! The Xbox One X sports an eight-core, 2.3 gHz processor that reduces load times for smoother gameplay. Backward-compatibility allows you to play select games from previous Xbox models. Normally $500, you can get it now for $409.99. 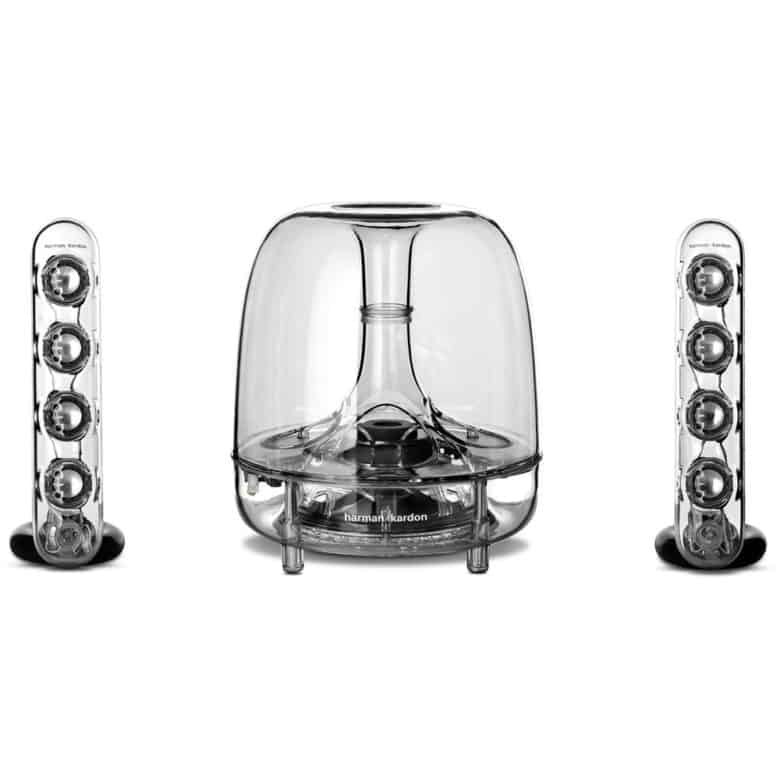 Become a party machine with this Harman Kardon speaker, now available for a deep discount. Link it with other speakers so you are never without music, no matter where you go in your house. Use the HK app to choose music and get a queue going. The list price on these is $300, but Harman Audio is selling them for just $79.99 on eBay. Get your chiseled bod ready for the summer season with some serious assistance from the Powerbeats3 in-ear wireless headphones. They are sweat- and water-resistant, and designed to handle the most intense routines of any gym rat. They bring up to 12 hours of battery life. Plus, with Fast Fuel, a five-minute charge gives you an hour of playback if your battery ever gets low. More than 3,300 Amazon customers gave these headphones 3/5 stars. They normally list for upward of $200, get you can grab a pair now for only $109.99. 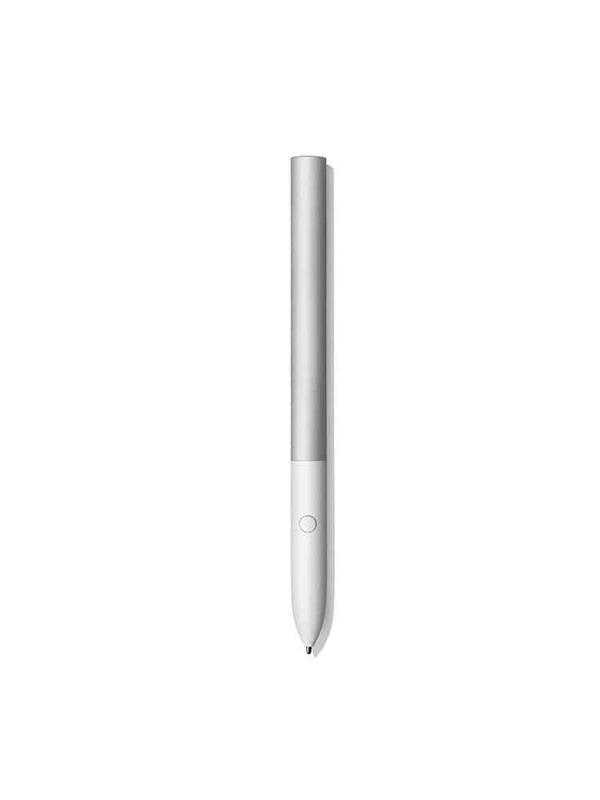 Get this Apple Pencil look-a-like for a pretty sweet discount. It feels like a real pen, so you can draw and write naturally. It also works with Google Assistant to search in real time. Over 40 Amazon customers gave it 4/5 stars. The list price is $99, but today you can get one for $82. Enjoy the newfound nice weather with an outdoor movie — without destroying your budget. 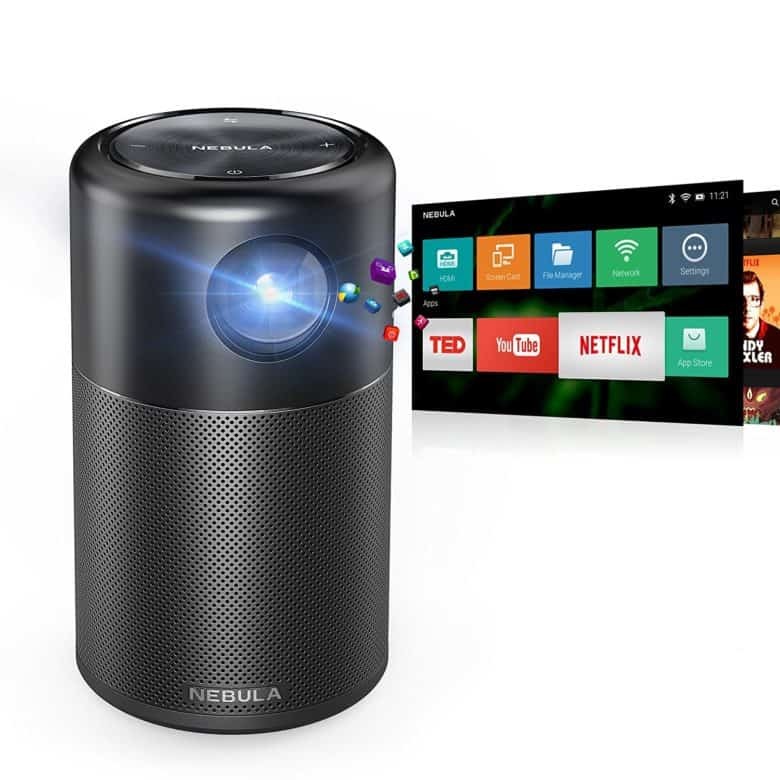 The Nebula Capsule portable projector by Anker projects footage in 100 ANSI lumens for a bright and vivid picture up to 100 inches big. It also sports a 360-degree speaker that pumps sound in every direction. It weighs a meager 15 ounces, making it one of the lightest projectors on the market. You can also run streaming apps and content. Over 80 Amazon customers gave it 4.1/5 stars. The list price is $349, but you can get it today for only $248. What better way to enjoy the coming of summer than sitting in a dimly-lit room playing Xbox for 12 hours straight. 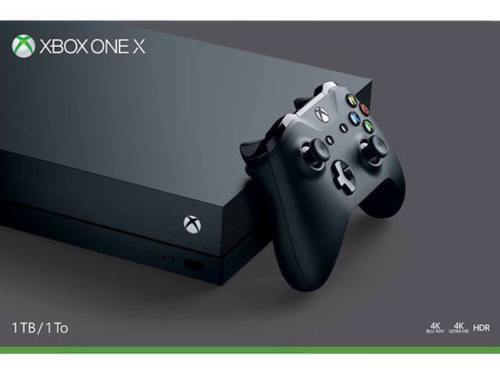 The Xbox One X has 4K gaming so you can immerse yourself in truly great graphics. It also has 40% more power than any other console on the market. Plus, it comes with two world-class games. Normally $558, buy it today for $459.99 + taxes. B&H is having some amazing deals on Apple’s recent hits. You can now get the MacBook Pro with Touch Bar for a sizable discount. The Touch Bar places controls right at your fingertips and adapts to different apps to provide useful functions without having to navigate complex menus or memorize keyboard shortcuts. Over 25 B&H customers gave it 5/5 stars. It lists for $1,799, get it now for a relatively affordable $1,599. 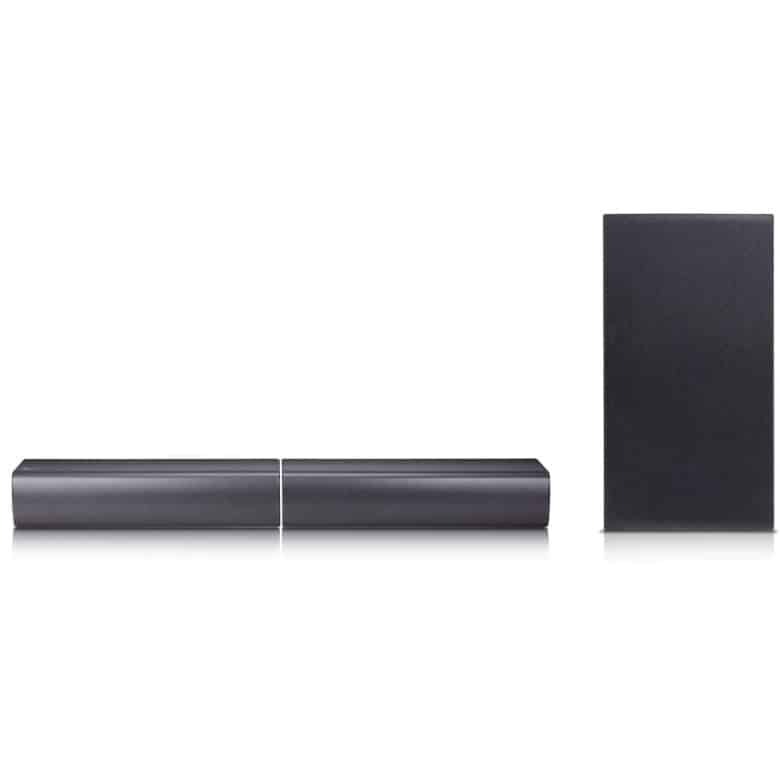 Get a bonkers deal on this sweet LG soundbar. You have a wide array of setup options. The soundbar consists of two speakers which can be set up as a single traditional soundbar, as stereo front speakers, or as a front and rear stereo speaker ensemble. The list price is $347, get it now for just $135.99. Jam out to this new weather with this awesome UE speaker. We here at Cult of Mac love all UE speakers and this one is no exception. Its cylinder shape sends sound all across the room with deep bass. It is also waterproof and shockproof making it great for pool parties and barbecues. Over 2,500 Amazon customers gave it 4.3/5 stars. These normally run for upwards of $180 at some retailers, get it now for just $87.29. This powerful Dyson Ball 206900-01 upright vacuum packs “cyclonic technology” that will free your house from dirt. The sweeper will also liberate you from shelling out repeatedly for bags, thanks to its reusable cloth filter and its bagless setup. It lists for $399.99, but you can get one today for $199.99. Want to take a walk on the dark side? 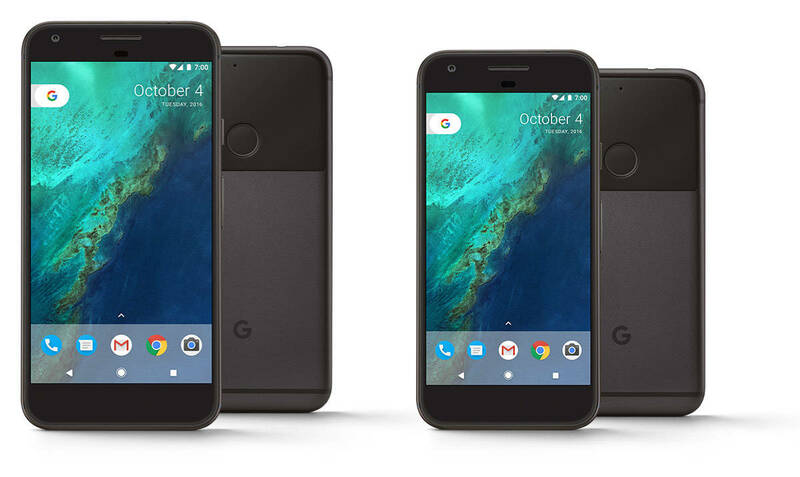 You can grab the original Google Pixel phone and taste the latest version of Android for less than $200. The refurbished phones on sale today include the normal Google Pixel (with a 5-inch screen) and the jumbo Pixel XL (5.5-inch screen). They come in two colors (Quite Black and Very Silver) and two storage options (32GB and 128GB). Prices vary depending on configuration but top out at just $254.99. These are Verizon unlocked Google Pixel phones, which work on GSM and CDMA networks. LG makes some fine monitors. UltraFine ones, in fact. 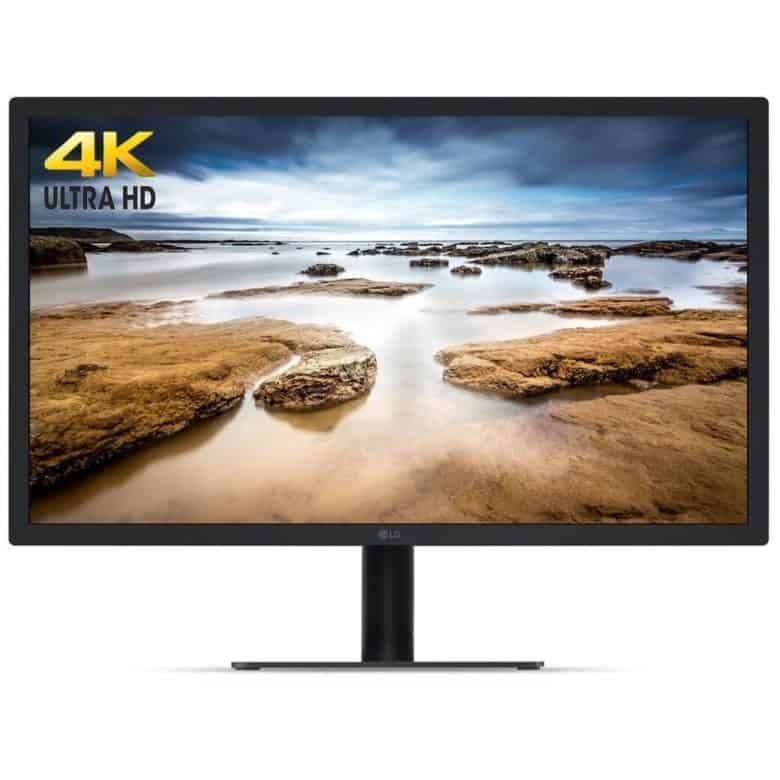 And today you can get some fine savings on a refurbished 22-inch 4K UltraFine LED monitor. With 219 pixels per inch, it delivers 4K resolution (4069×2304 at 21.5 inches). It’s a great-looking screen to use with your Mac (assuming your computer has USB-C or Thunderbolt 3 ports). It lists for $439.95, but its Amazon Deal of the Day status slashes that price to a measly $199.99. 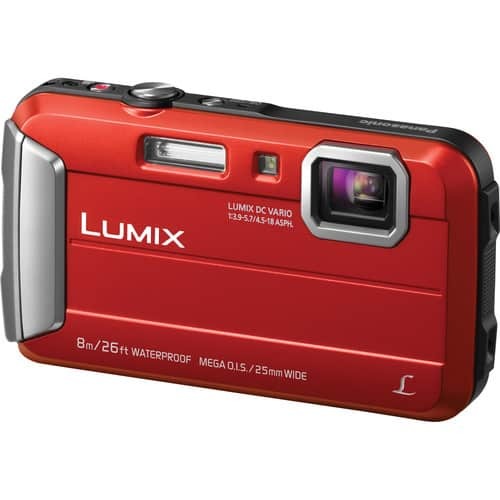 Unleash the Dorothea Lange trapped inside of you yearning to be free with this great deal on a Panasonic Lumix. This little bugger is tough and durable and can shoot footage in the most extreme temperatures. It’s dust-proof, waterproof, shockproof and freeze-proof! Its 8x Intelligent Zoom function offers as much zoom as you could possibly ever need. The MEGA optical image stabilization compensates for camera shake in photos and videos. 35 B&H customers gave it 4/5 stars. Ordinarily $180, you can get it now for just $99.99. B&H is having a bonkers sale on some of the latest Apple products. 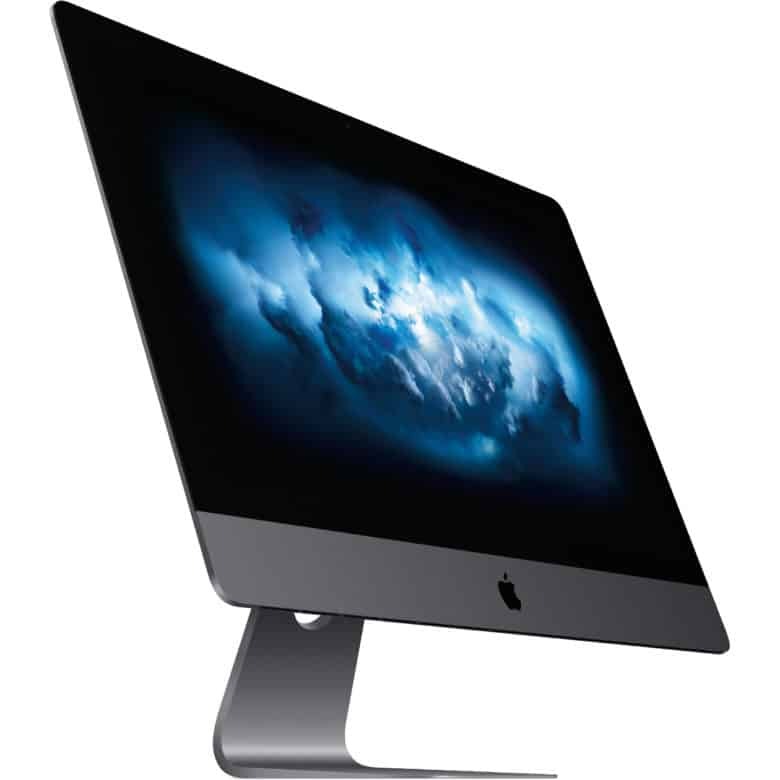 Included in this mega sale, is a great deal on the new iMac Pro with Retina 5K display that had some Apple ultras jaw dropped on the floor. It features a 3.2 GHz Intel Xeon W 8-core processor and 64GB of 2666 MHz DDR4 ECC RAM that can handle the most intensive operations like real-time 3D rendering. It also has 1TB of all-flash storage, which has a 3.3 Gb/s read speed and a 2.8 Gb/s write speed, for loading huge files and launching apps faster. The display sports a 5120 x 2880 resolution and a 16:9 aspect ratio for crystal-clear quality. Normally $6,400, B&H has the the new iMac Pro with 64GB of RAM for “just” $5,900. You can also get the iMac Pro with 32GB of RAM for $4,499 (the list price is $4,999). And B&H has great deals on various MacBooks and other iMacs. Play at the top of your game with these headphones made by SteelSeries, the biggest name in gaming hardware. 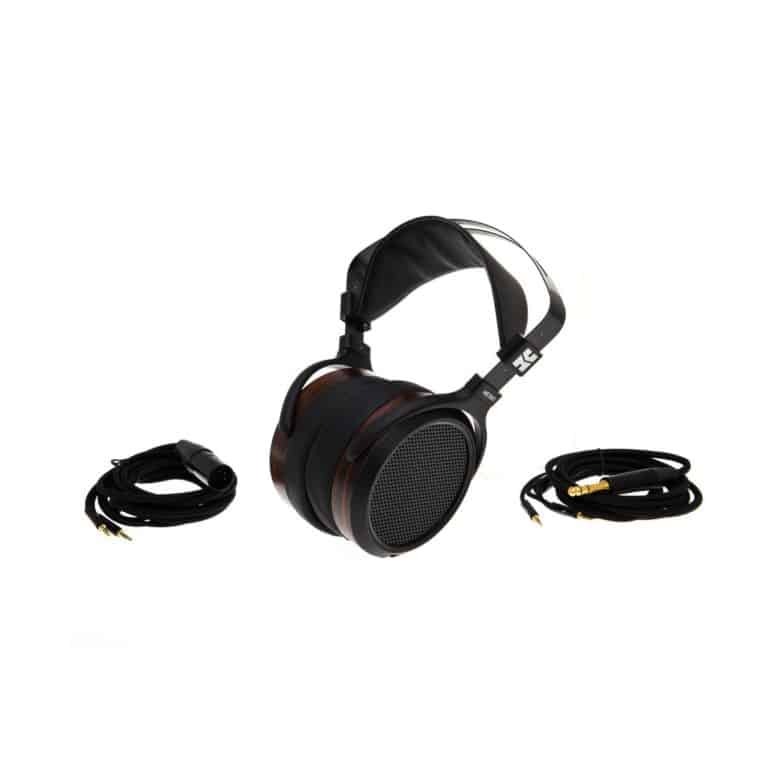 Premium hi-res drivers with high-density neodymium magnets reproduce an expansive frequency range from 10 to 40,000 Hz. 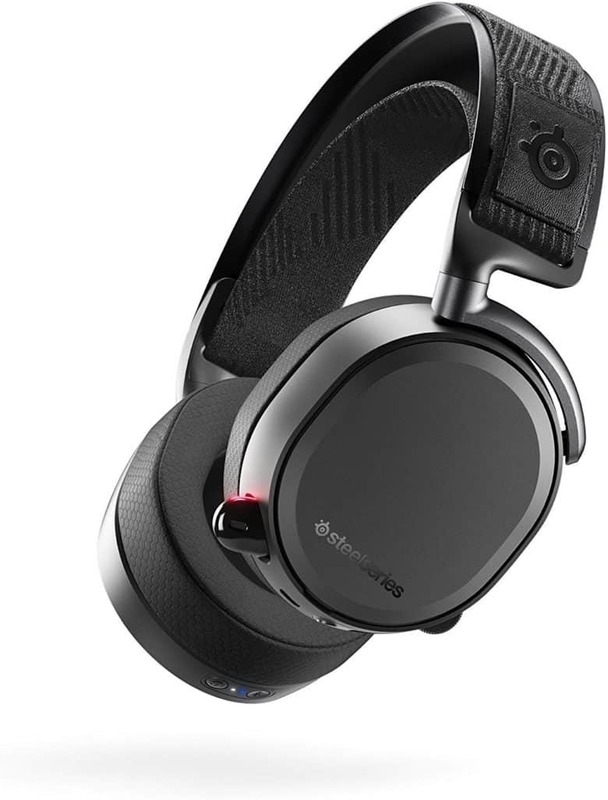 The steel-and-aluminum body makes these headphones extremely light for maximum comfort during long gaming sessions. The headphones come with two swappable batteries that allow you to charge a battery in the base station, while using the other for more than 20 hours of gaming. Over 40 Amazon customers gave the Arctis Pro 3.8/5 stars. Normally $330, get it today for just $258.53. 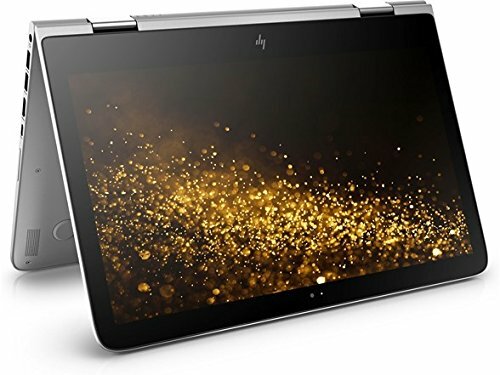 As part of its Gold Box Deals of the Day, Amazon is selling this HP laptop/tablet convertible for a whopping discount. It sports the Intel Core i7-7500U 2.7GHz Dual-Core processor for multitasking performance and energy efficiency in whatever you choose to do. The 13.3-inch 4K Ultra-HD backlit display’s 3840×2160 resolution means pristine image quality. The hybrid laptop also features an integrated Intel HD 620 Graphics for enhanced viewing. The list price $1,400, but you can snag one now for just $799.99. Rock out with this pair pf refurbished headphones now available for a deep discount. The Everest 300 Elite features NXTGen noise-canceling technology that tunes out ambient sounds so you can listen to your tunes and nothing else. These headphones also sport a built-in microphone so you can talk on the phone in between your killer soundtracks. The headphones come with a case so you can travel without having them break in your bag. Normally $250, they are a steal right now for just $59.99. Get this compact desktop computer for a fraction of the cost of other Apple products. The Mac mini contains a 1.4 GHz Intel Core i5 dual core Haswell processor, 4GB of 1600 MHz LPDDR3 RAM and a 500GB 5400 rpm hard drive. Integrated Intel HD Graphics 5000 mean great picture quality no matter the monitor you choose to use. 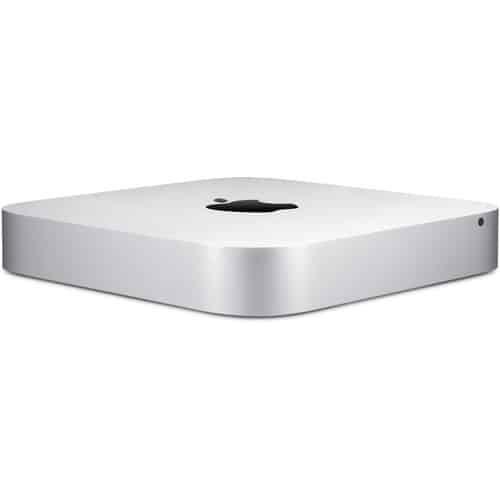 The Mac mini also sports two Thunderbolt 2 and four USB ports, a gigabit Ethernet RJ-45 jack and an HDMI terminal, along with an SDXC card slot for additional storage options. Impressive for its size, 75 B&H customers gave it 4.5/5 stars. Ordinarily $500, get it right this second for just $399. See the whole road in crystal-clear imagery with this Aukey dash cam. Its camera records footage in up to six lanes you won’t miss a beat while you’re out on the road. Emergency Recording automatically captures unexpected driving incidents. Loop Recording, on the other hand, allows for continuous use by writing over old, unneeded footage. Easily install it with sticker mounts that can be removed just as easily. Over 25 Amazon customers gave it 4.1/5 stars. Normally $110, get it now for $89.99. It may not the sexiest deal out there, but you can save a lot of bucks on these SanDisk products. The deal includes flash drives, memory cards and an SSD. In fact, you can save $100 on the SanDisk Extreme Portable SSD. Act quick because this deal expires at the end of the day. 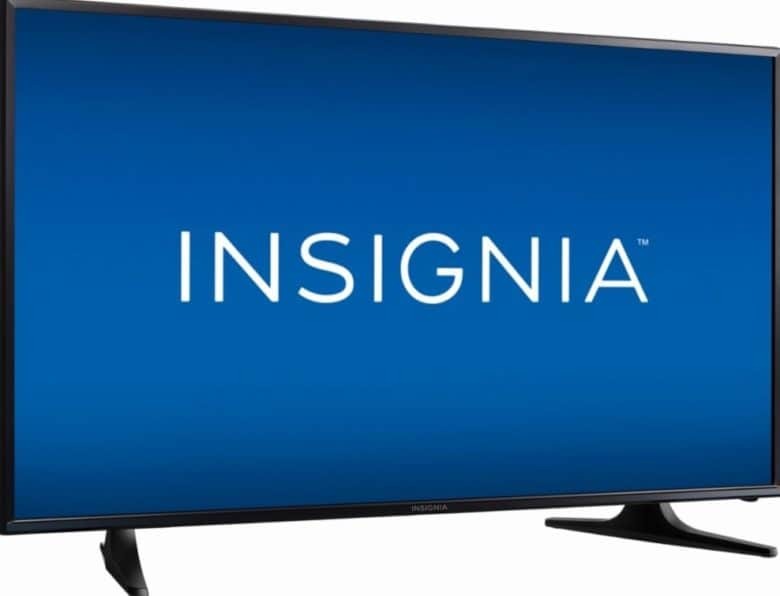 As part of its Deals of the Day, Best Buy is offering a killer deal on a 49-inch HD TV! 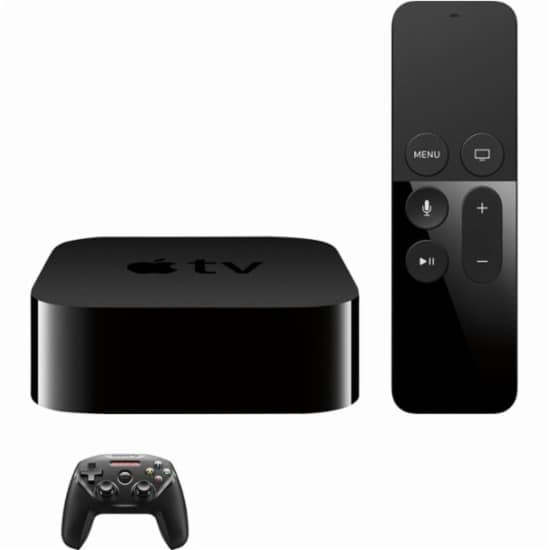 It features an 1080p resolution so you can watch movies in crystal-clear quality. DTS audio means powerful bass and a crisp, natural sound. It comes with three HDMI ports so you can plug in your consoles and game away. The 178-degree horizontal and vertical viewing angles provide a clear picture for anyone seated near the side of the screen, so everyone will want to flock to your place for movie night. Over 200 customers gave this TV 4.5/5 stars. Normally $300, you can get it today only for just $219.99. 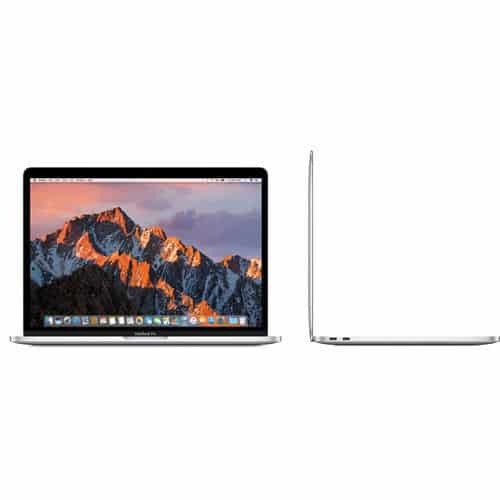 Don’t want to shell out the big bucks for a new MacBook? 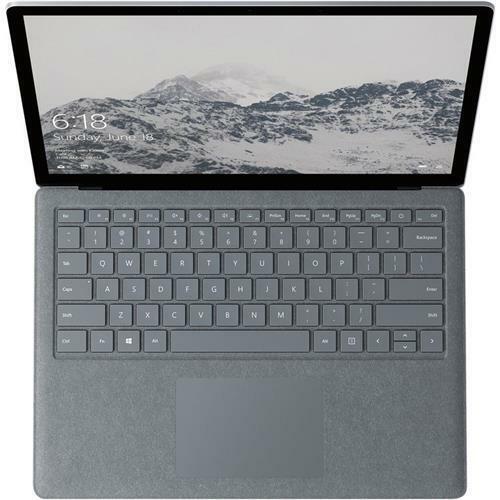 You’re in luck because you can get this Microsoft Surface for $300 off. This laptop is designed for Windows 10 and streamlined for a secure and superior user experience. It sports the Signature Alcantara material-covered keyboard for style and performance. At just 2.76 pounds, it’s easy to carry around, making it great for traveling. The list price is $1,299, but Adorama has it for just $939.99 on eBay. Get this speaker that looks like it came straight out of Dr. Frankenstein’s lab. Its predecessor was even on display at the MoMA. It sports 40 watts of amplification produce rich and realistic sounds and offers a strong bass output. 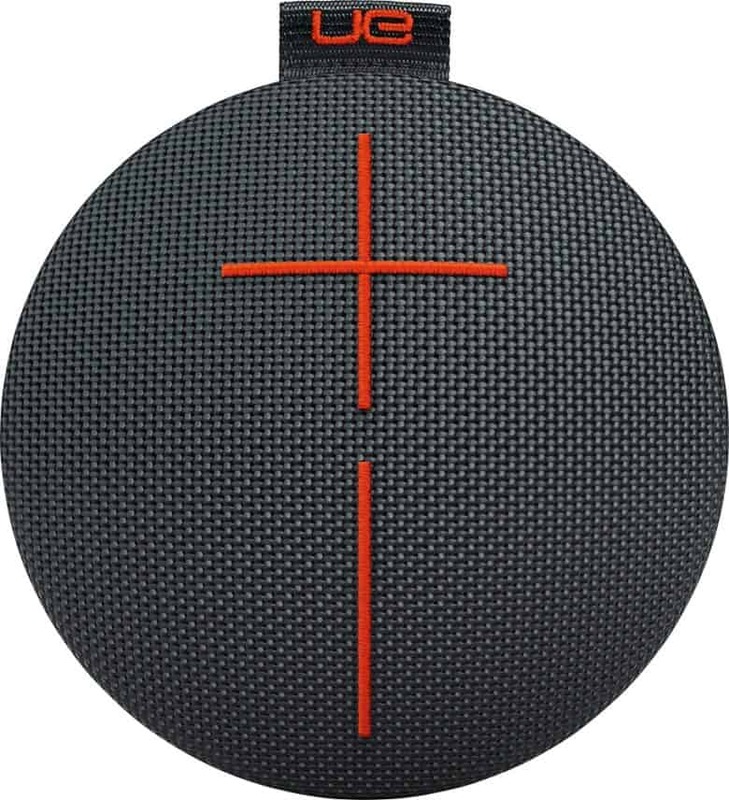 It also has a 3.5 mm stereo audio connection so you can play music from your phone, tablet, or computer. Normally $170, get it now for just $99.99. 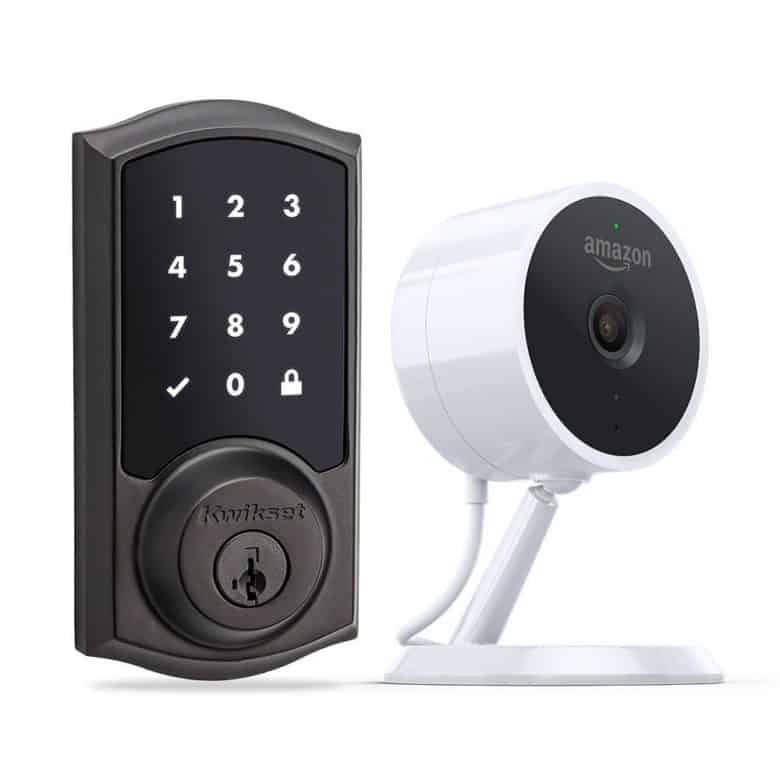 Go keyless and still secure your home with Amazon’s Cloud Cam and a compatible smart lock. Use the Amazon Key App to lock and unlock your door, keep track of who comes and goes, watch or block in-home deliveries, and check in on your front door 24/7. Give family and friends temporary, recurring or permanent access so you do not have to go through the hassle of lending them physical keys. Prime members also get Amazon packages delivered right inside their doors. Over 130 Amazon customers gave it 3.9/5 stars. Ordinarily $290, Amazon is selling it right now for $219.99. Looking into amateur photography? 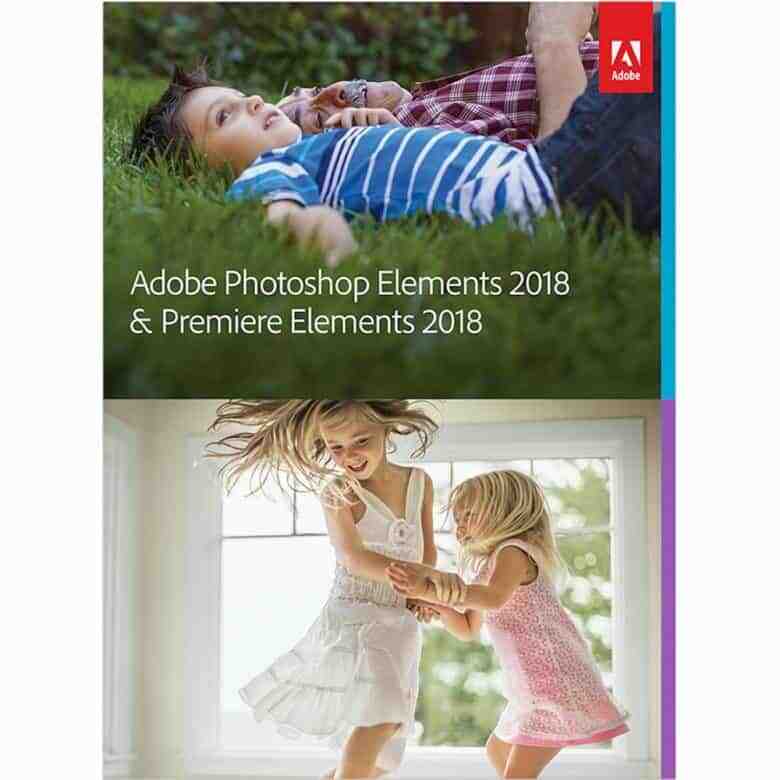 You’re in luck because you can get ahold of the most recent version of Photoshop for almost half off. It has automated photo editing that will make your photos look amazing, effortlessly. Create and share beautiful printed artwork, new dynamic slideshows, photo and video collages, GIFs, and full-length movies. Your photos will automatically be curated based on quality, faces, subjects, Smart Tags, and more, so you don’t have to search for the standouts. Over 125 Best Buy customers gave it 4.6/5 stars. The list price is $150 but if you hurry up and buy it today you can get if for just $79.99. It’s a camera bonanza! Get your hands on this high-quality outdoor security camera for a bonkers discount. It sports three times optical zoom and 1280 x 960p display resolution for crystal-clear quality. The night vision IR light range is up to 8 meters during night time, that extends to 20 meters during the day time. It also has an 110 degree viewing range so you won’t miss a beat. It is enclosed in water-proof protection. Watch live recordings on your phone via the cloud. Almost 300 Amazon customers gave it 3.5/5 stars. The list price is $260, get it today for only $129.99. 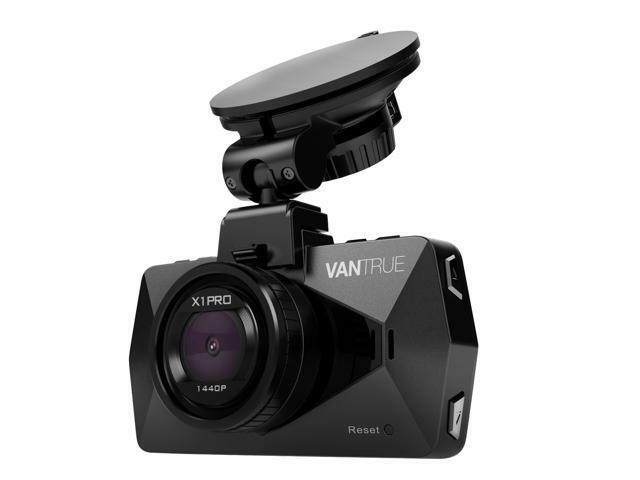 Record the road with pristine picture quality with this Venture dash cam now available for a DEEP discount. 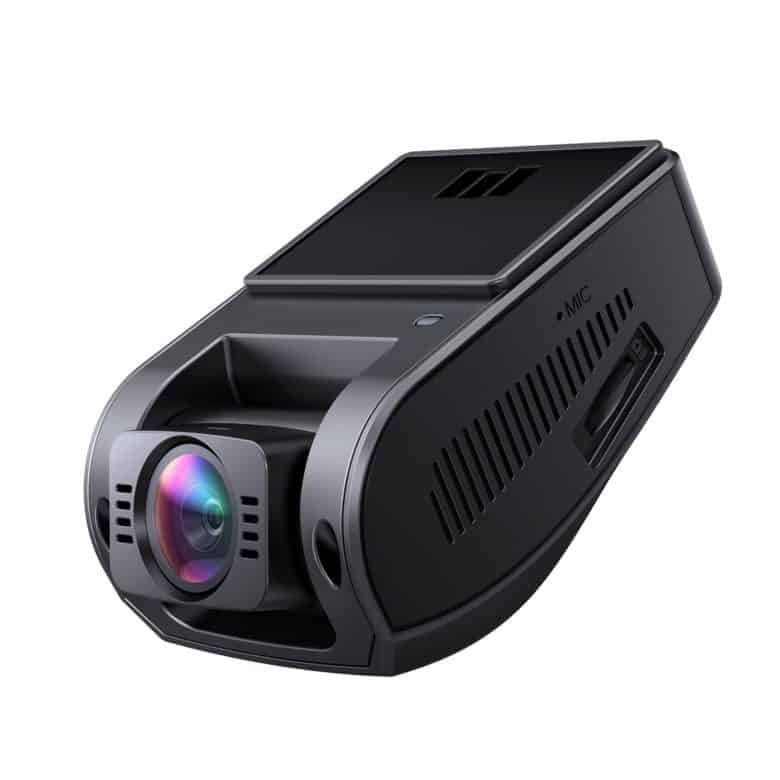 It sports an 170 degree wide viewing angle that captures five lanes of traffic without distortion, so if you get in an accident, this dash cam won’t miss anything. The F1.8 6-layer optical glass lens is dust and heat proof so it will capture high quality images in even the most hazardous environment. It also records in night vision during the night. It auto-switches to parking mode once you have parked for at least five minutes. Parking mode detects if anyone is in front of the car so you can capture them trying to break-in. The list price is $300, buy it in the next 8 days for just $94.99. Spice up your living room with these smart lights. They are certified refurbished and tested to look and work like their brand-new. They ship with all relevant accessories, a minimum 90-day warranty, but may arrive in a generic box. 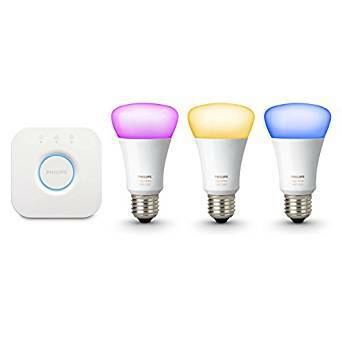 Sync Hue with Apple HomeKit, Amazon Alexa, or Google Assistant and control the lighting settings with just your voice. Or you can use your phone or tablet to control your lights even when you are not at home. With 16 million color options available you are sure to find one that is just right for whatever wild scenario you find yourself in.Normally $140, get it today only for $119.99. This Gold Box deal doesn’t end here. There are still more Phillip Hue Buy from: lighting options. Everyone agrees that the Nintendo Switch is a blast. Now you can get the hot hybrid gaming machine for a healthy discount. The Switch transforms from a home console to portable system in a snap so you can play games wherever you are. It has 32GB of internal memory that you can easily expand upon using microSDHC or microSDXC cards. 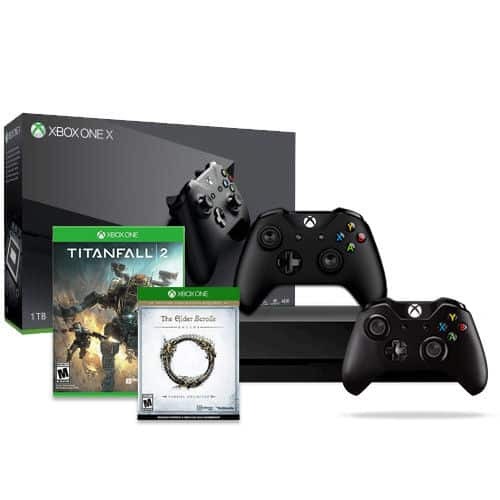 The console itself usually goes for $300, but you can get it for just $279.99 when using promo code EMCPUEP72. 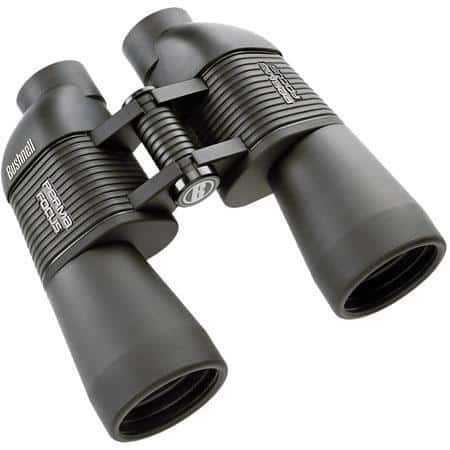 Ogle birds and other wildlife with these high-quality binos. They sport preset focusing — just aim, and your subject comes into sight through quality optics. A wide angle of view lets you see more than just the animal your are tracking. They are also rubber armored for durability and a slip-resistant grip. Normally $70, Adorama is selling them for just $39.99. 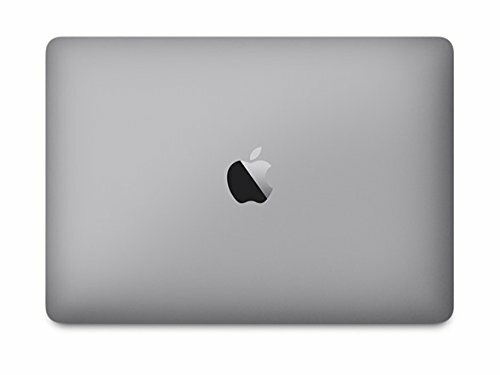 As part of its Gold Box Deals of the Day, Amazon is serving up a new MacBook at a great discount. These laptops were originally intended as warranty replacements. Now you can get them for almost a quarter off the list price. The MacBook sports an LED-backlit display with IPS technology and 2304-by-1440 resolution with support for millions of colors. It also features an Intel HD Graphics 515 processor for an outstanding everyday graphics experience. Normally $1,300, you can grab one today for just $999.99. 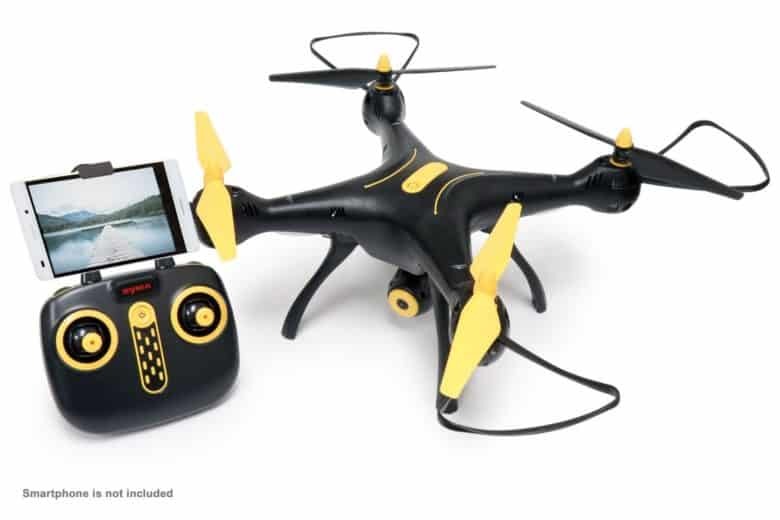 Take to the skies with this awesome drone now on sale for a very sizable discount. Take aerial videos or snap photos in 720p HD and save them directly to your smartphone. The advanced altitude-holding technology allows the RC drone to suspend in the air even when you let go of the controls. 360-degree rolling stunts can be performed with just the push of a button to make your flights even more impressive. 50 Amazon customers gave it 4/5 stars. The list price is $130, but Amazon is blowing them out for just $69.98 today. Seriously upgrade your speaker system with this amazing deal on a surround sound system. The Z506 system delivers 75 watts (RMS) of balanced power for room-filling sound. The ported, down-firing subwoofer pumps out deep, clean, booming bass. The system is compatible with your television, computer, smartphone, tablet, DVD player, Blu-ray player, gaming consoles and more. Over 2,700 Amazon customers gave it 4/5 stars. The list price is $100, but you can get it right now for only $52.78. Gamers rejoice! You can now get your hands on a pair of Joy-Con controllers for a sizable discount. These awesome Nintendo Switch accessories offer new ways to play games. 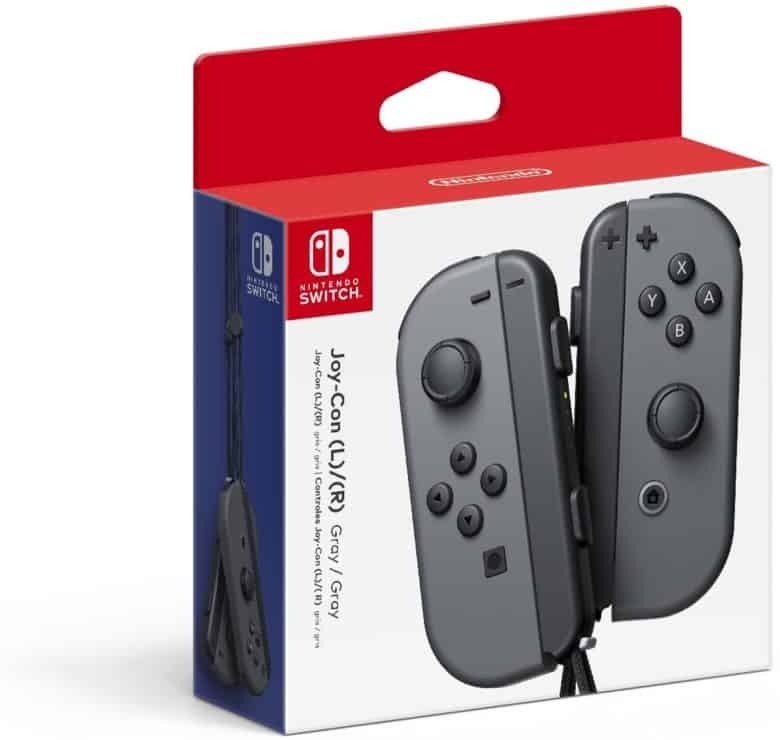 The two Joy-Cons can be used independently in each hand, or together as one game controller when attached to the Joy-Con grip. 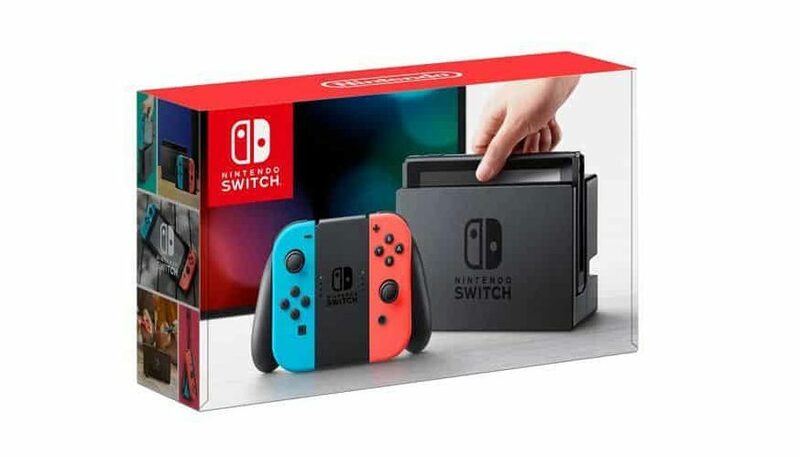 They can also connect to the main console for use in handheld mode, or be shared with friends to enjoy two-player action in supported games. Over 600 Amazon customers gave Joy-Con 4.3/5 stars. The list price is $79.99, but now you can get it for just $62.76. Get a late-2016 MacBook Pro for a deep discount. 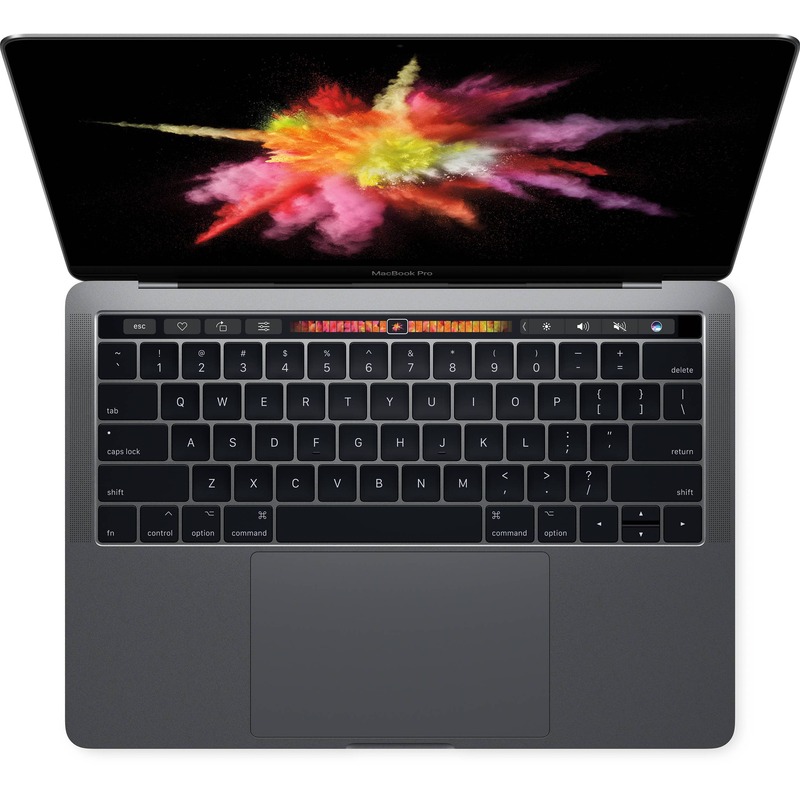 It sports the intuitive Touch Bar, which adapts to different apps to provide useful functions without having to navigate complex menus or memorize keyboard shortcuts. The power button has been upgraded with a Touch ID sensor, so you can quickly log into your MacBook Pro using your fingerprint. 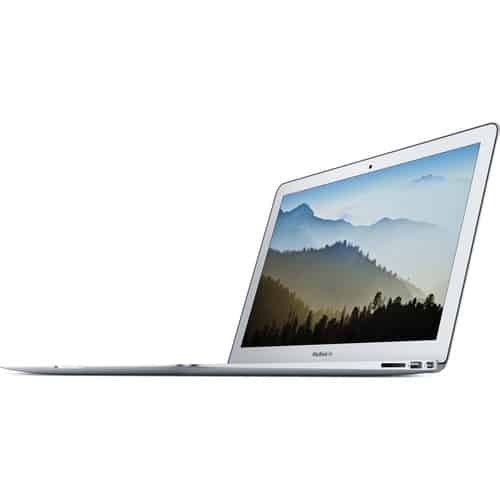 The 15.4-inch Retina Display has a 2880×1800 resolution and features brighter LED backlighting than its predecessor. An increased contrast ratio means deeper blacks and brighter whites. The list price is $2,400, but you can get it now for just $1,699.99. 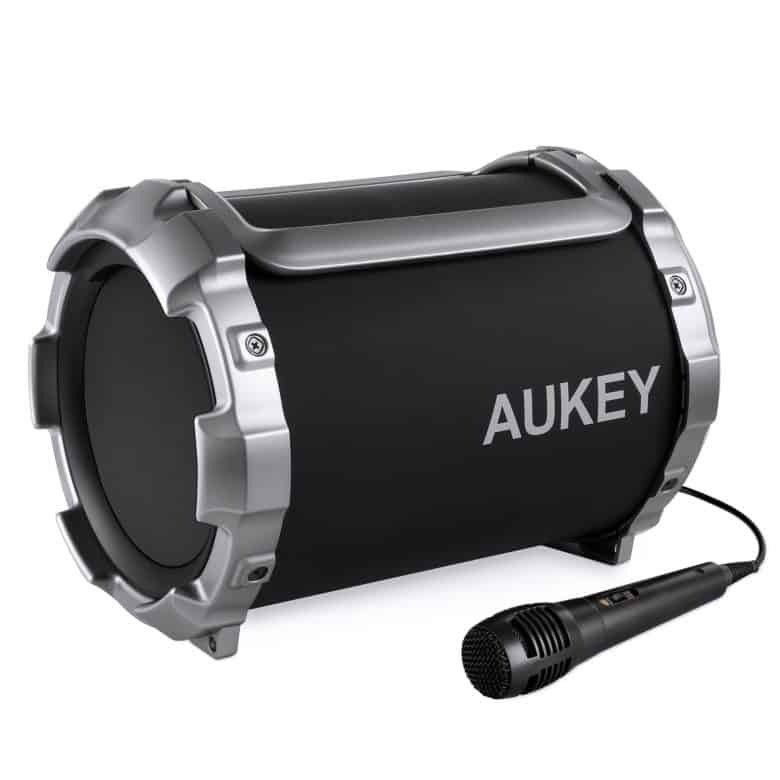 Take your party or barbecue to the next level with this portable speaker and microphone set. It sports a 15-watt subwoofer and dual 3-watt drivers that produce deep lows, textured mids and clear highs. Tune in to the radio, stream your music wirelessly, or plug in directly with the aux input and the included 3.5mm cord. The reviews are slim but generally positive. Normally $65, Amazon is selling it now for just $44.84 when you use promo code FORMOM17. 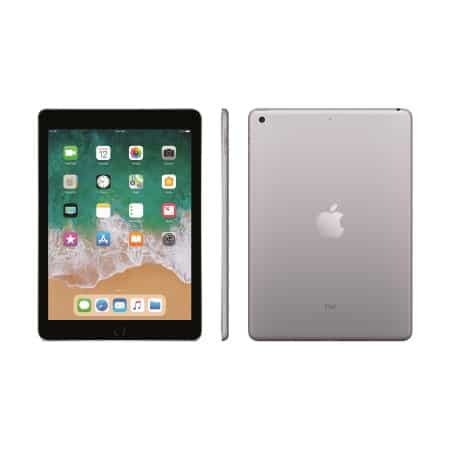 Walmart once again has the 2017 iPad on sale. The tablet sports a 9.7-inch Retina display for crystal-clear images and bright colors. Its A9 chip with 64-bit architecture can handle some heavy-duty work functions. Its battery lasts up to 10 hours on a single charge, so you do not have to keep constantly plugging it in. You can also take amazing pictures or selfies with its back- and front-facing cameras. It has 32GB of storage. Normally $330, you can get it now for just $249. Act quick while they are in stock. 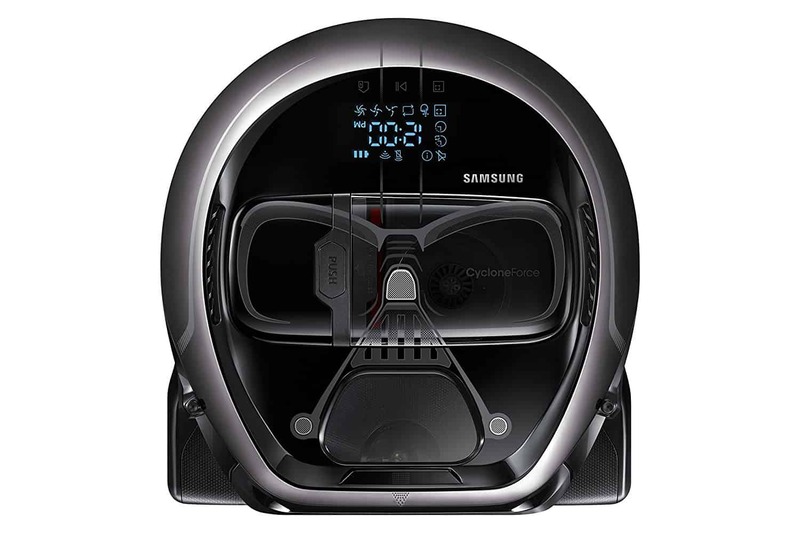 Get this ridiculous-looking Darth Vader-themed vacuum cleaner for a price so low even a Squib would jump on the deal. The robovac packs powerful suction that’s sure to get the job done. A shutter extends to capture debris trapped in corners and along walls. It creates an optimal cleaning path and avoids obstacles; a coverage map shows on the associated app where Powerbot has cleaned. Remotely control your robot vacuum with your smartphone via Smart Home or Samsung Connect, or voice control with Amazon Alexa or Google Assistant. Over 20 Amazon customers gave it 3.5/5 stars. Ordinarily $799, now you can get it for only $379.99. Amazon has its own payment system and first time customers can start saving with a free $15. You can use Amazon Cash at thousands of stores, including chains like GameStop, CVS Pharmacy, 7-Eleven and Boost Mobile. See whose at the door without getting up from the couch with this Ring doorbell. 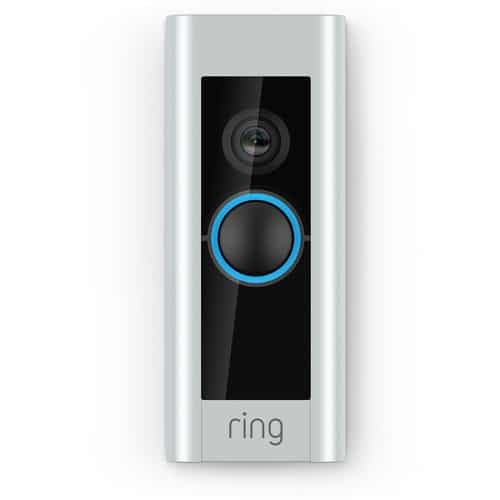 The Ring Doorbell Pro features 1920 x 1080 resolution for high-quality images. 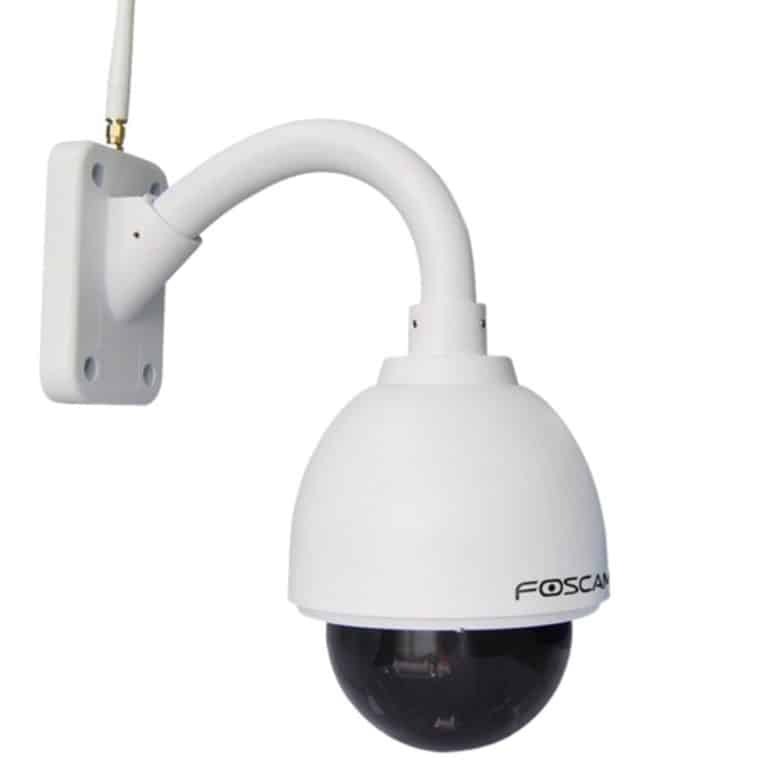 It sports built-in IR LEDs for use at night or in low-light conditions. The camera has a 160° field of view for a wide coverage area, so you can see everything. It also has integrated 2-way audio that allows you to listen and respond to people at the door. Over 50 B&H customers gave it 4/5 stars. Normally $249, it is now available for just $199. 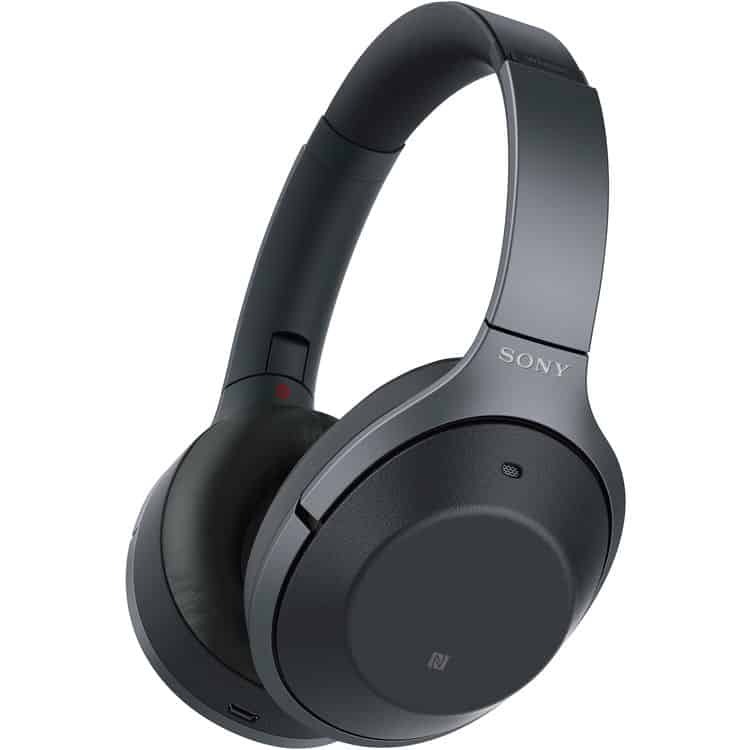 Tune out with these noise-canceling headphones by Sony. The 1000XM2 sport 40mm drivers and intuitive noise cancellation for the ultimate listening experience. The earcups feature touch surfaces for easy access to controls so you can change the volume without your phone. 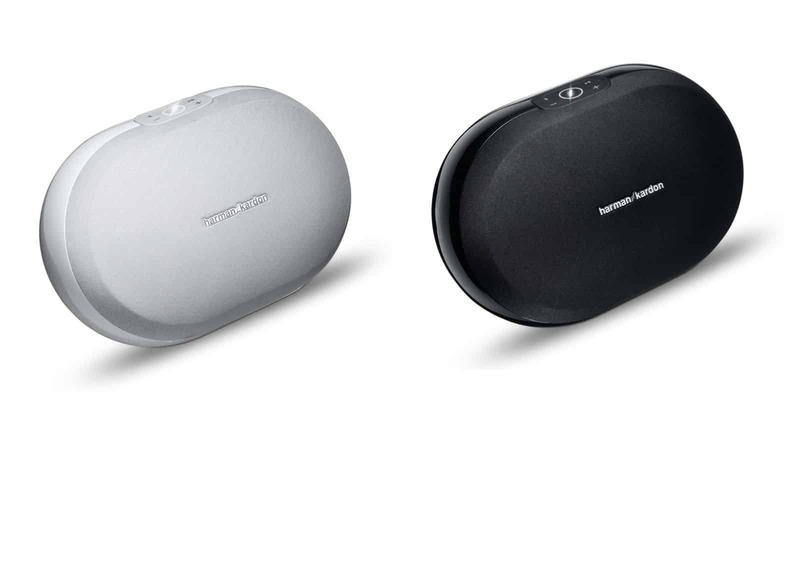 The battery can stream music with noise cancellation on for up to 30 hours and recharges in about four hours. The 1000XM2’s earcups fold for storage in the included carry case, making them great to travel with. There are not too many reviews, but they are generally positive. The list price is $348, but B&H is now selling them for just $298. Get your hands on a new Apple Watch. Track your daily activities and get reminders so you are on top of your schedule. Use it to measure your workouts and your heart rate. The Apple Watch Series 3 sports a new dual-core processor for faster app performance. It is also waterproof so you can use it in the pool. It can also connect directly to the Internet thanks to 3G and 4G LTE cellular compatibility. 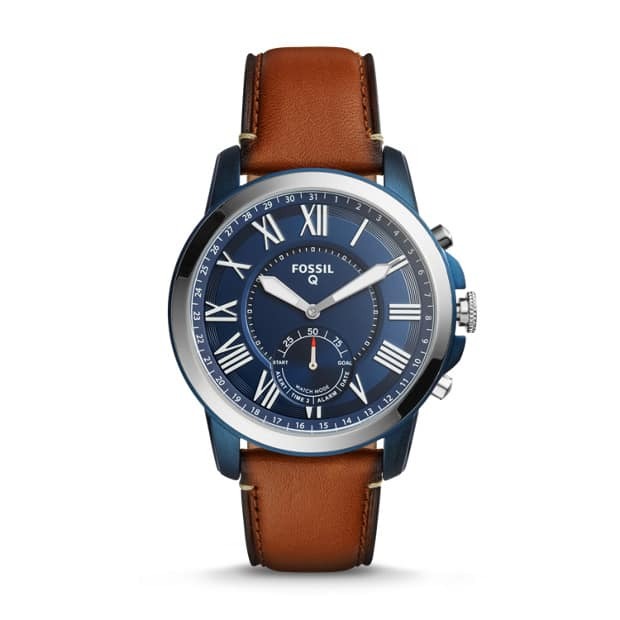 The list price of the 38mm model is $329, but it’s on sale today for $279. Get a new iPhone 8 from Verizon and give another to someone special, like maybe your Mom for Mother’s Day. You can also get a BOGO deal on other smartphones like the Galaxy S9, Pixel 2, and Moto Z2 Force. There’s no trade-in required, and no upgrade eligibility required. You do have to open a new line of service, though. 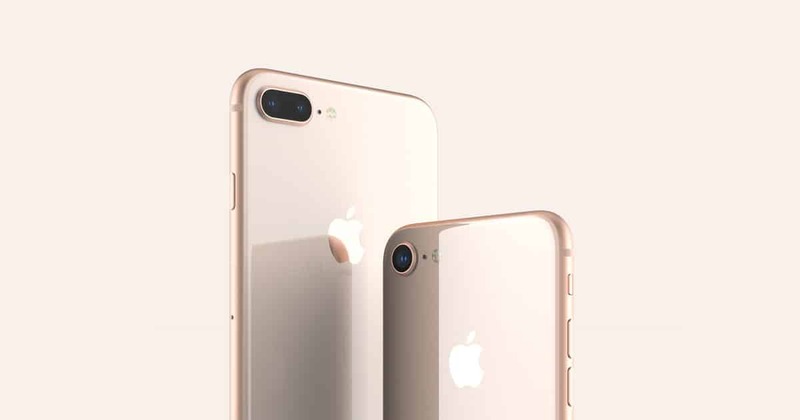 And both devices must be financed on a 24-month Equipment Installment Plan, with your discount coming in the form of credits paid out over 24 months. Still — free iPhone 8! Act quick, because this deal will likely expire this weekend. 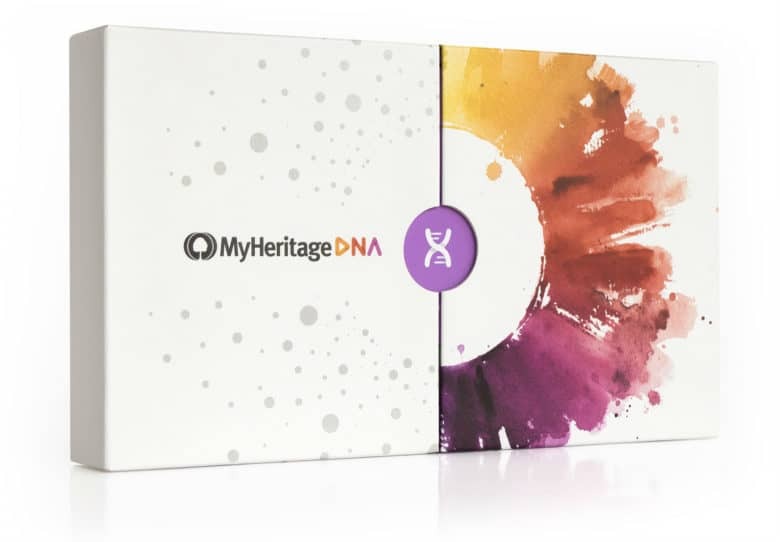 Go through the roots of your family with this neat DNA kit. Get a detailed ethnicity breakdown after simply taking a cheek swab (which only takes about two minutes). Over 500 Amazon customers gave it 3.8/5 stars. Normally $75, today only you can grab one for just $57. 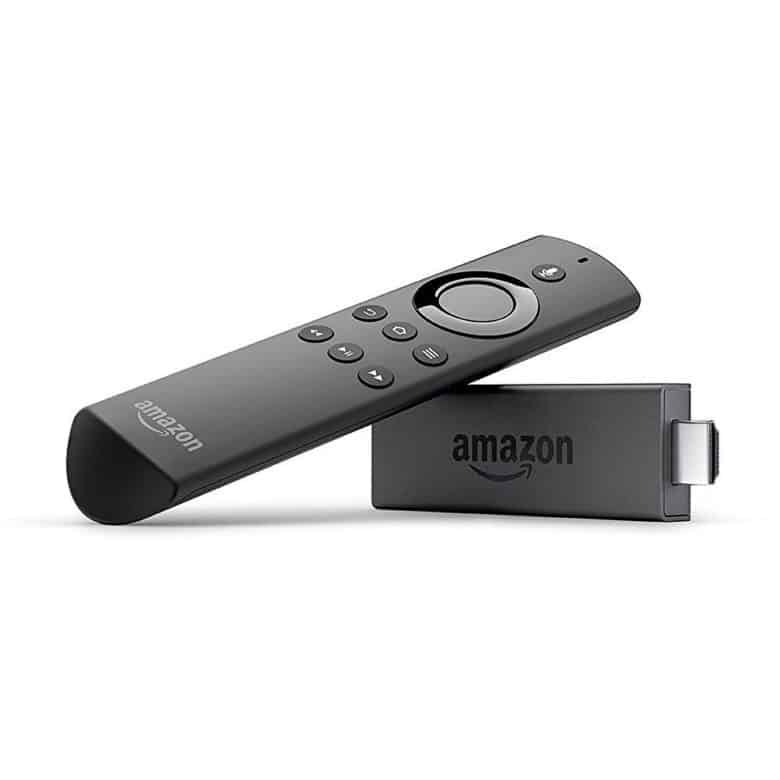 Add streaming to your TV with a rock-bottom price on Amazon Fire TV Stick. With this simple dongle, you can use Alexa to find and stream content from more than 140 channels or apps, all with just your voice. Amazon Prime members get access to thousands of movies and TV episodes for free. Over 170,000 Amazon customers gave it 4.4/5 stars. The list price is $40, but today you can get it for only $29.99. Ultimate Ears’ rugged, super-portable speakers sound great and you can take them anywhere. 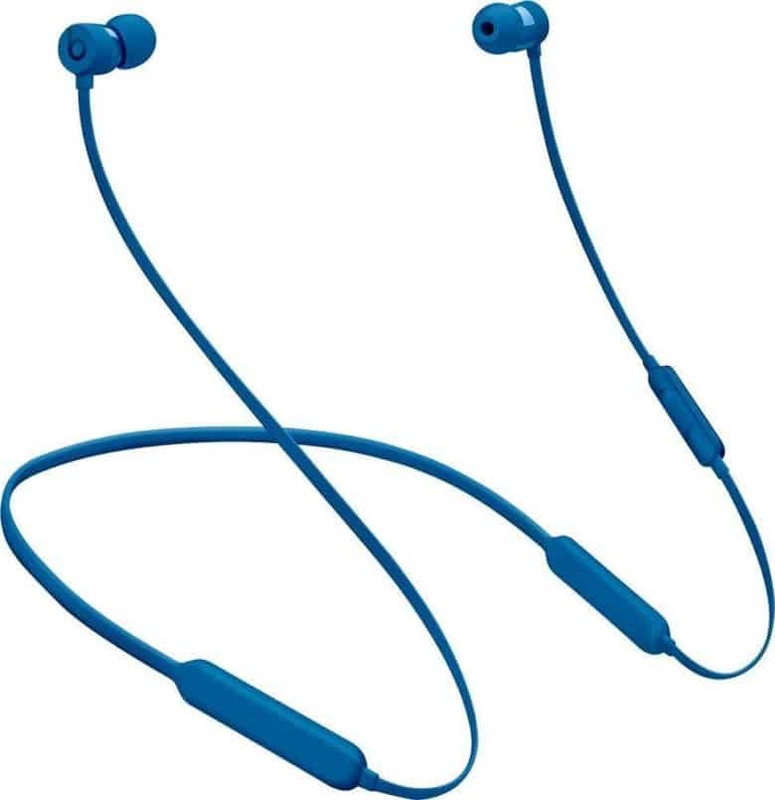 Waterproof and shockproof, they pack quite a punch, pumping out crisp audio for hours. We love every model UE makes, and they just keep getting better, thanks to hardware and software updates. Now you can pick up the Boom 2, the smaller of UE’s cylindrical speakers, for less than $100 — a big savings off the $179 list price. The Boom 2 comes in several eye-popping designs, although not all color combos are on sale. The Logitech Circle 2 is one of the only home security cameras that works with Apple’s HomeKit framework. It’s 180-degree lens captures full HD video (including night vision). Software features like Smart Alerts with snapshots, Advanced Motion Filtering, and time-lapse Day Brief make this cam stand out. The wired version is on sale for $40 off the $179.99 list price today, and you also can pick up window and plug mounts so you can set up it wherever you want. 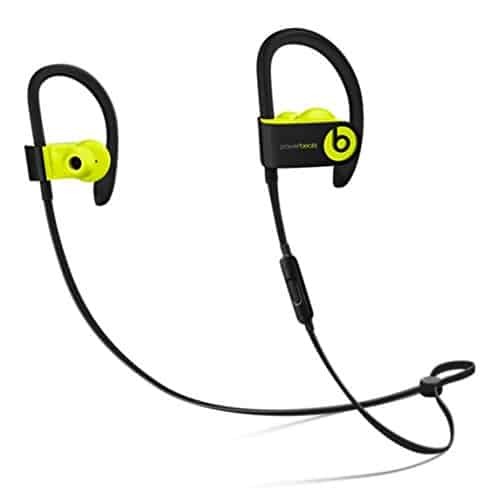 Get a quality pair of Beats headphones for a nice discount. They are wireless, so they’re great for working out. Take calls, control your music and activate Siri with RemoteTalk. Magnetic ear buds keep them tangle-free, and they easily coil up for compact portability. The headphones also come with a case so they won’t get damaged while traveling. Normally $150, Best Buy’s official eBay store has them for just $89.99. 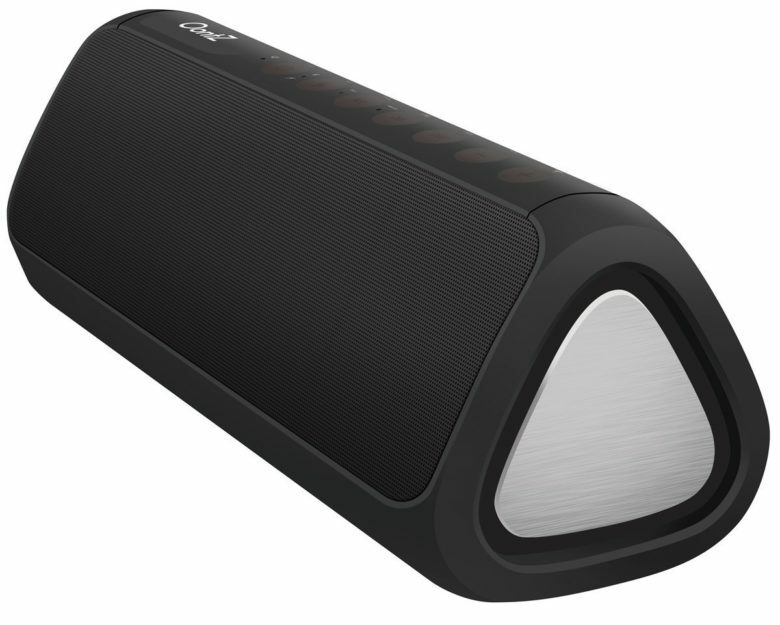 Rock out with a great deal on this OontZ portable speaker. It sports dual 2.75-inch stereo drivers and two precision tweeters for impressive mids and highs. It is water-resistant and can even be taken into the shower (but it cannot be submerged). It has a 100-foot Bluetooth range and can be paired with more OontZ devices to really get the party rocking. A single charge gets you eight hours of playback time. Over 80 Amazon customers gave the speaker 4.1/5 stars. The list price is $200, but you can get it today only for just $89.99. Also available is the OontZ Angle 3 Ultra portable Bluetooth speaker for $29.99 (normally $60). Get a deep discount on a high-quality pair of studio headphones. Using single-ended drivers, the HiFiMan HE560 delivers a lifelike soundstage and spatial imaging. 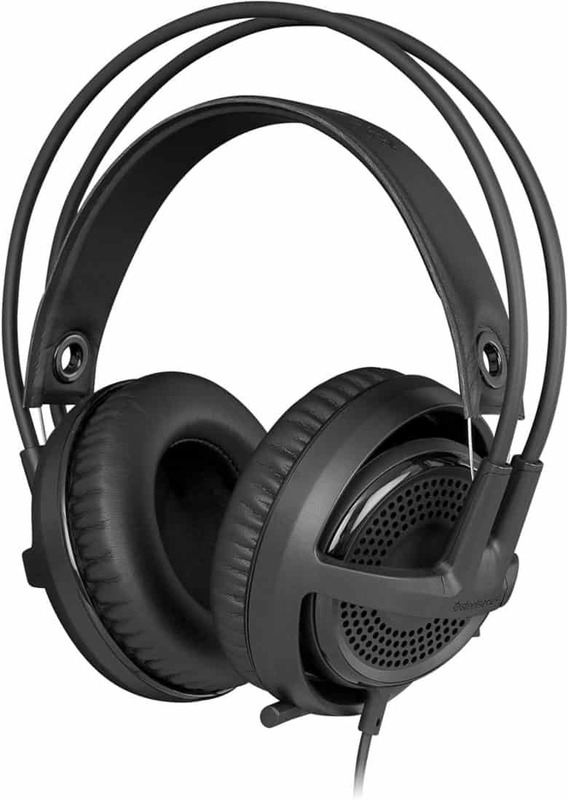 They sport a 15 Hz to 50 KHz frequency response. At just a smidge over 13 ounces, they are lightweight and comfortable to lug around. The reviews are slim but generally positive. Normally they cost $899, get right now they’re going for just $319. Start working on your summer bod with help from this smart scale. 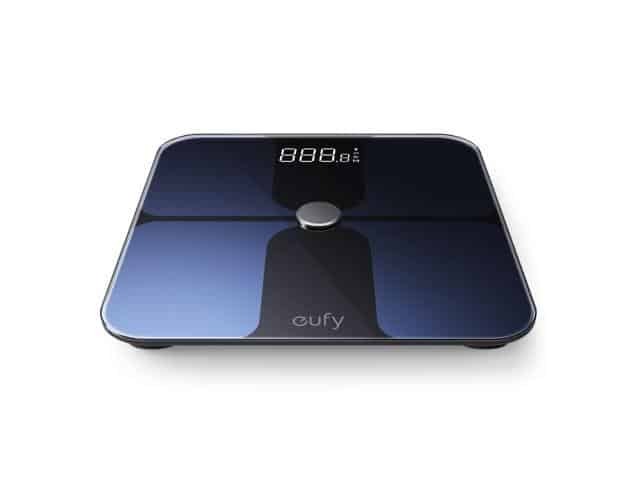 The eufy BodySense smart scale pairs with up to 20 accounts so the whole family can use it. EufyLife syncs with Apple Health and Google Fit to store all your data in one convenient, centralized location for easy viewing. Normally $40, you can get it in the next four days for just $28.99 with the promo code EUFY11S. If you don’t like AirPods, or just want something a little sportier, grab these truly wireless Jabra Elite earbuds for almost 30 percent off. 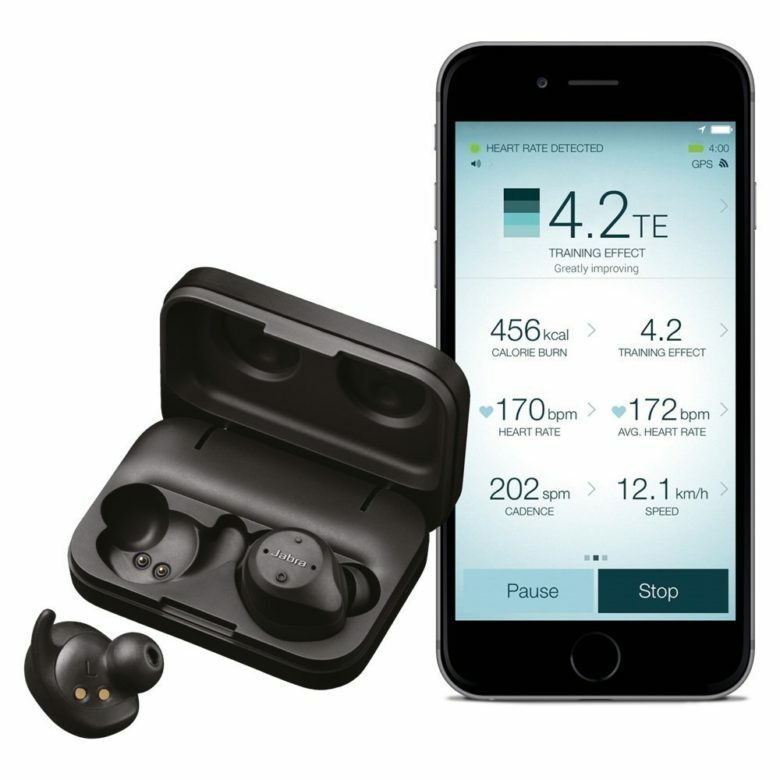 The truly wireless earbuds feature a waterproof design and a three-year warranty against sweat. They also sport an in-ear precision heart rate monitor and fitness analyzer. Jabra says you’ll get playback time of 4.5 hours (plus the charging case adds an additional nine hours of battery life). Three earwing sizes mean these earbuds will fit almost all ear shapes. Over 550 Amazon customers gave the Jabra Elite 3.5/5 stars. The list price is $250, but you can get a pair now for just $179.99. Get this very stylish hybrid smartwatch for a deep discount. It looks like a normal watch but brings some of the capabilities of a smartwatch. Compatible with Android OS 5.0+ and iOS 9.0+ devices, it alerts you when you get notifications. It sports built-in activity tracking so you can track your steps, distance and calories burned. It has an estimated battery life of one year. The list price is $155, but you can get it now for just $95. 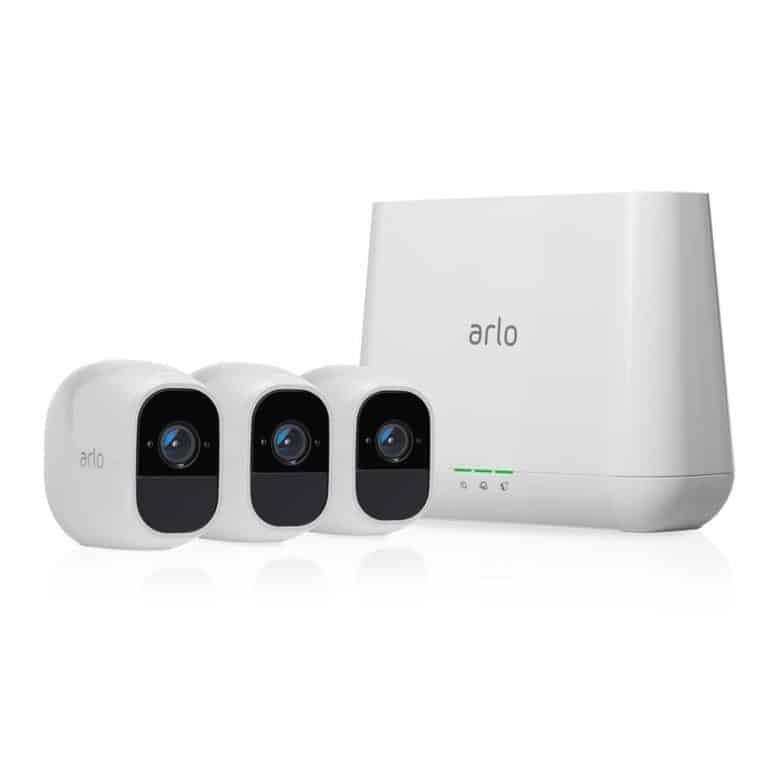 Ramp up your home security with a great deal on this Arlo security package. The cameras are 100 percent wireless so you don’t have to worry about tripping over pesky cords. They capture footage in 1080p HD to ensure great picture quality. You can highlight areas in the cameras’ view to receive motion alerts that should keep you from missing any of the action. 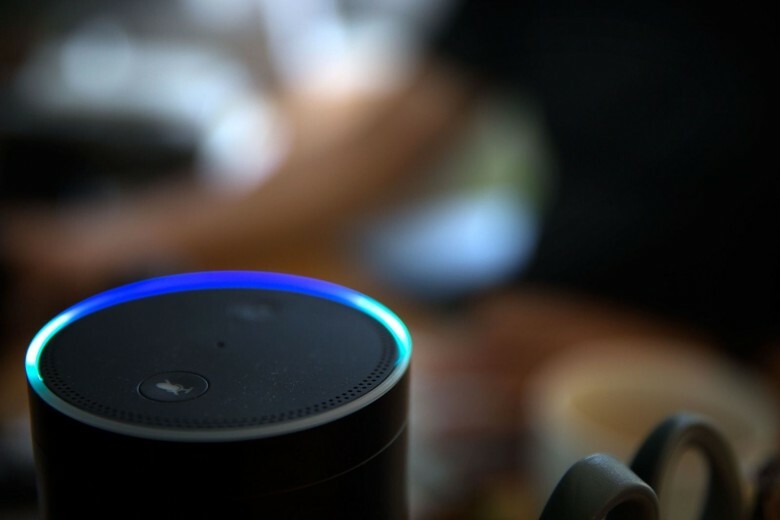 Since it’s Alexa-compatible, you can control it with just your voice. Over 12,000 Amazon customers gave the Arlo Pro 4.2/5 stars. Normally $580, you can get the system now for only $539.99. This is the device that sparked the smart speaker revolution. It’s not the latest version, but the original Amazon Echo actually packs one feature that’s better than its successor: a sweet, sweet spinning volume control up top. Today, Amazon Prime members can nab a refurbished Amazon Echo for just $64.99. That’s a lot less than you’ll pay for a HomePod anytime soon. Get these AirPods alternatives for a deep discount. They are completely wireless so those pesky cables won’t get in the way while you exercise. 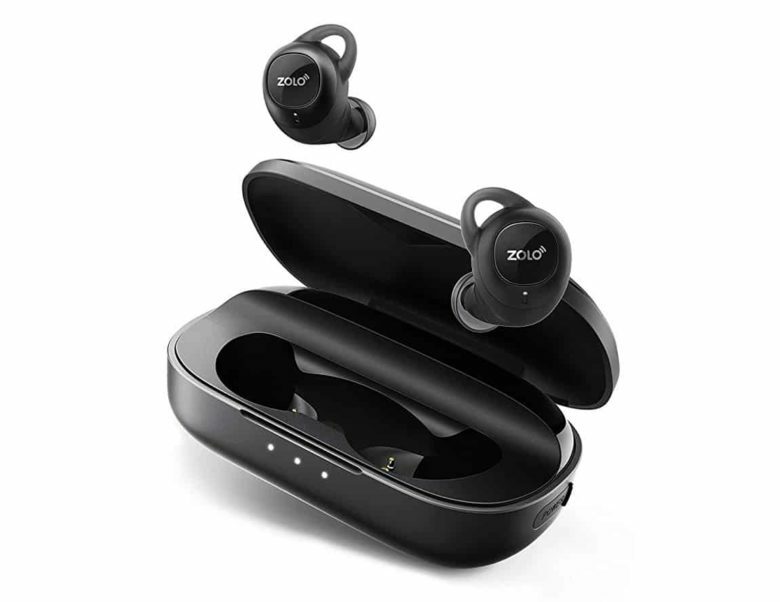 The Zolo Liberty+ sports a graphene-enhanced sound, adjustable ambient sound levels, and a sound-tight seal that generates deep bass with exceptional isolation. It offers 3.5 hours of playtime from a single charge and you can then boost that to 48 hours with the included charging case. Push and Go technology ensures ultra-fast pairing between devices. Over 125 Amazon customers gave it 3.9/5 stars. The list price is $149.99, but you can get it for only $109.99 with promo code LIBERTYZ. Step up your game with a good deal on this gaming keyboard. The Corsair K66 has dedicated multimedia and volume controls to adjust your audio without interrupting your game. It is also 100 percent anti-ghosting, with full key rollover that ensures your commands and keystrokes always register the way you intended. Over 140 Amazon customers gave it 4.3/5 stars. 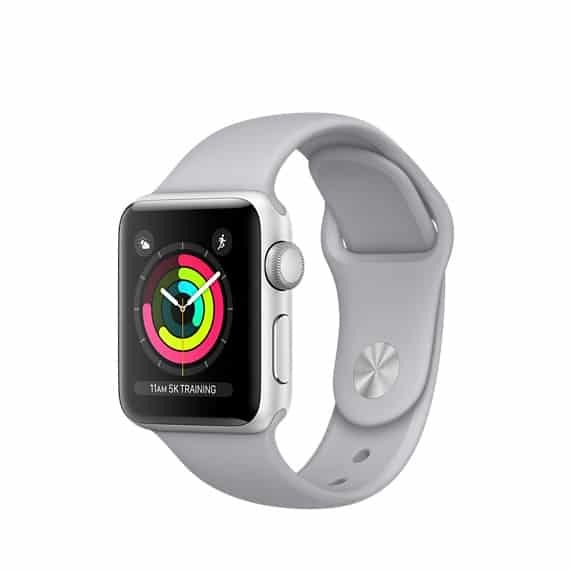 Get in on the hype and get yourself the latest Apple Watch for a nice discount. Released September 2017, they sport an S3 dual-core processor and W2 Apple wireless chip. They feature a brighter second-generation OLED Retina display with Force Touch. They are also water-resistant up to 50 meters, and have built-in GPS and barometer. The 38mm models are $279 and the 42mm ones are $309 — all are $50 off. They are certified refurbished from Apple and currently available in silver, space gray and rose gold. Get ’em while they’re hot! 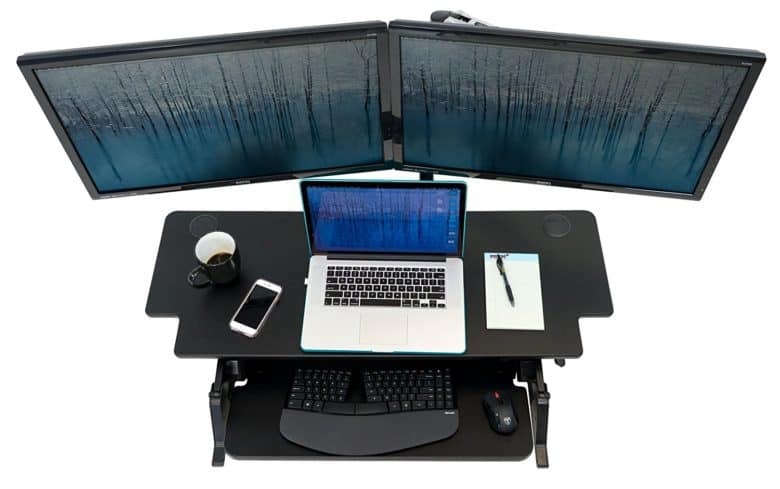 Loosen up your legs by turning your regular desk into a standing one. Standing all day is much healthier for you than sitting. Unlike other brands that feature crisscrossed bars, the iMovR ZipLift+ has a Z-lift mechanism with a single nested bar that provides a sturdier frame. It also provides a 15-degree keyboard tray so you can type in comfort. Over 70 Amazon customers gave it 4.6/5 stars. It comes in two sizes. The 35-inch model costs $235.99 (usually going for $349) and the 42-inch model runs $299.99 (normally $429). Sometimes AirPods just don’t cut it. 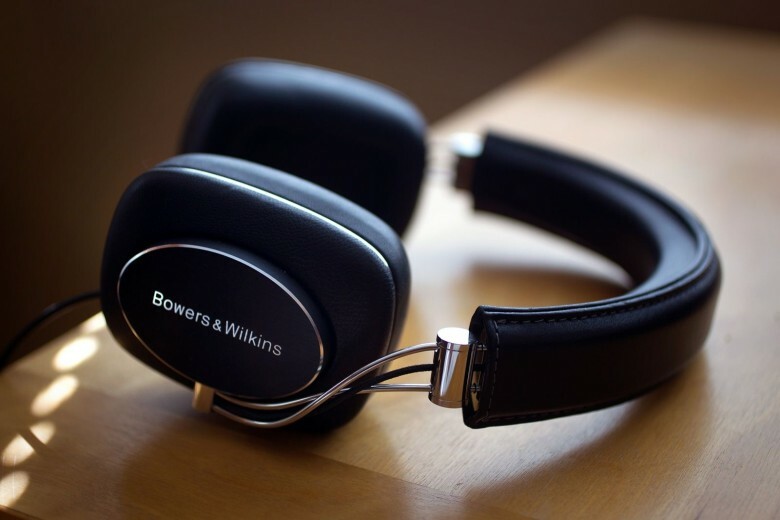 If you want some truly fantastic wired sound, a pair of Bowers & Wilkins P7 headphones will do the trick. I’ve loved these leather-clad headphones ever since I reviewed them for Cult of Mac, and I use them every week when recording The CultCast. They sound fantastic, they’re comfortable and they’re as easy on the eyes as the ears. Today, they’re even somewhat easy on the wallet: You can save $150 off their $349 list price. Get spring cleaning underway with ease with this high-quality cordless vacuum. It has up to 20 minutes of continuous suction. The Direct-Drive Cleaner Head drives bristles deeper into the carpet to remove even more dirt. It also comes with a Tangle Free Turbine Tool, Combination Tool and Docking Station. Finally, it is manufacturer-refurbished and shows limited or no wear. 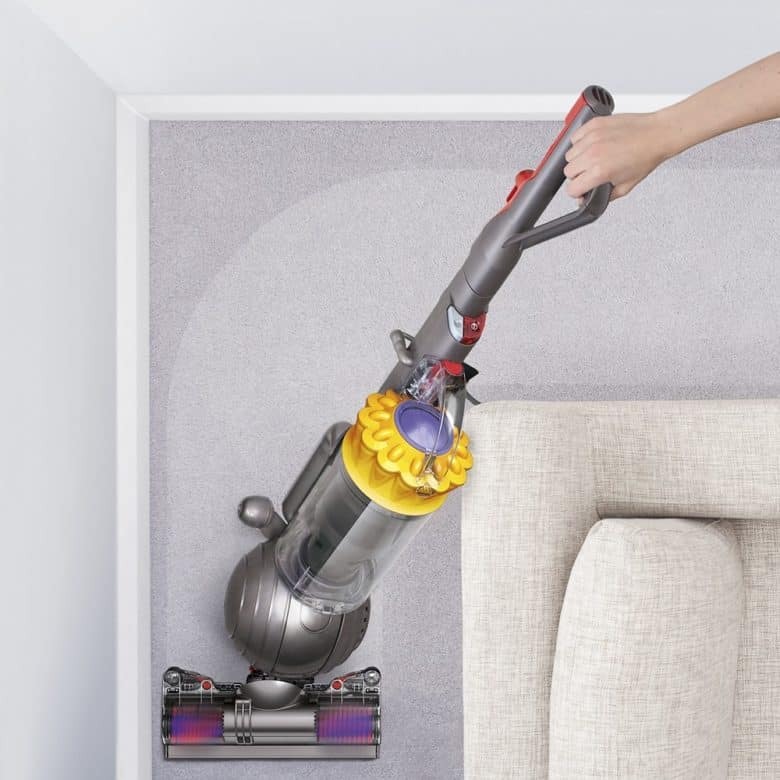 It includes all original accessories and a six-month Dyson limited warranty. Over 300 Amazon customers gave it 3.8/5 stars. The list price is $279, but today only it’s going for for just $199.99. Summer is just around the corner, and you can enjoy the nice weather with a nice discount on this Bose speaker. It sports a 360-degree design for consistent, uniform coverage. It also has a seamless aluminum body that is water-resistant. You can take calls and talk to Siri or use Google Now directly from the speaker. Pair two speakers together to really get the party rocking. It offers up to 12 hours of play time with the built-in rechargeable lithium-ion battery so you can listen all day. The reviews are slim but all positive. Normally $199, B&H has it for just $179. Don’t miss a shot with this mini camcorder made by Google. It takes clips, which are snapshots integrated with a short video to create a moving photo. 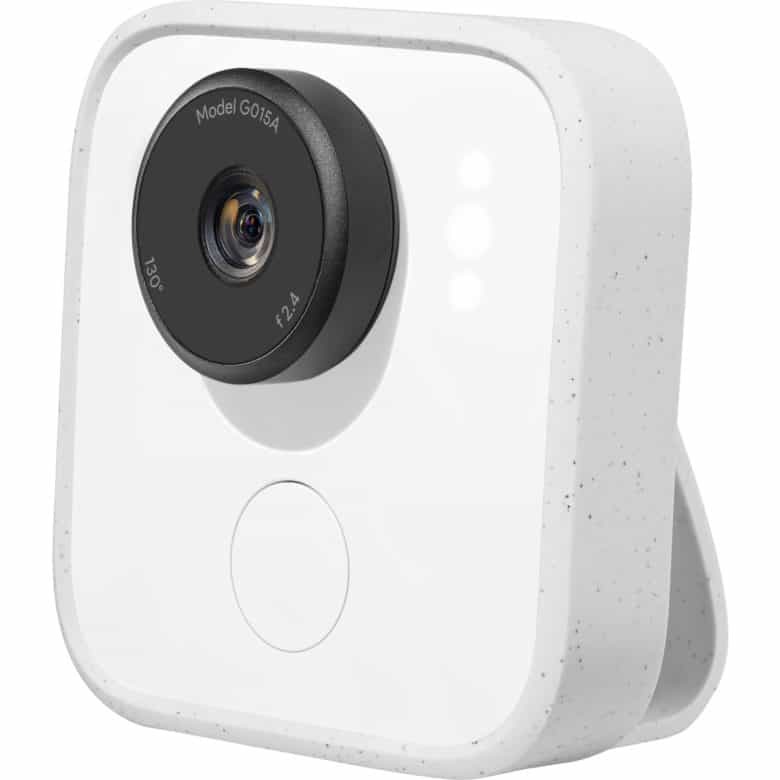 Using machine learning, Google Clips can intuit when it should snap a clip based upon who is in the frame and what they are doing. It can also use any frame from that video and extract a high-quality still image. You can attach it your clothes for a truly hands-free experience. The list price is $249, but today you can get it for just $199. Save big with a great deal on this late-2015 model iMac. It features a fifth-generation Intel Core processor and enhanced Intel Iris Pro Graphics that deliver stirring visual effects with big impact at maximum speed. The Magic Keyboard has been redesigned with a lower profile and increased stability that makes typing with precision a breeze. The intuitive Magic Trackpad 2 has Force Touch capabilities. 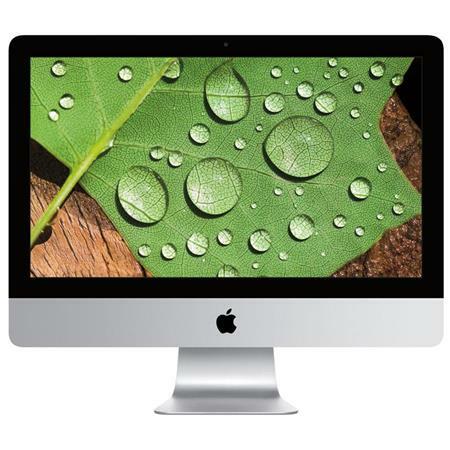 25 Adorama customers gave this iMac 4.7/5 stars. Ordinarily $1,099, you can get it for $749 with the instant rebate — and only $699 with the mail-in rebate. Didn’t find what you want today? Plenty of last month’s hot deals are still kicking.